Oakland was born in Louisiana and attended Tulane University, winning awards for design. Impressed with Oakland’s work, Bruce Goff contacted Claude Oakland and invited him to come to California and work with him in his new practice. Their short collaboration resulted in the ground-breaking architectural design of the Leidig House in Hayward, California. Oakland then worked for Anshen and Allen in the decade prior to his joining development Joseph Eichler. He refined the Eichler prototypes and simplifying them for economy and mass production. Oakland’s innovations resulted in fewer building elements and reorganized the structure of the beams to allow them to flow in one direction. 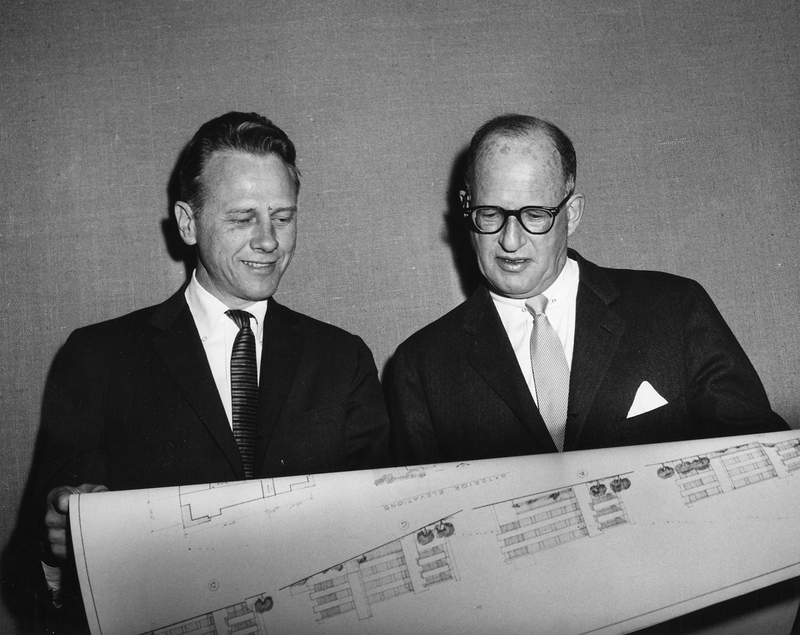 In 1950, he joined Eichler where he focused on the Sunnyvale development. 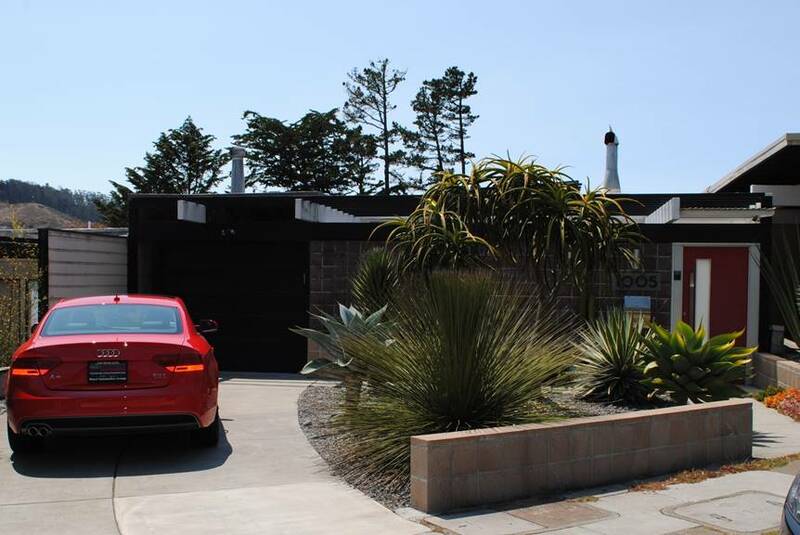 He formed his own company in 1960, continuing to work as an independent architect for Eichler and receiving awards from places such as Architectural Record. 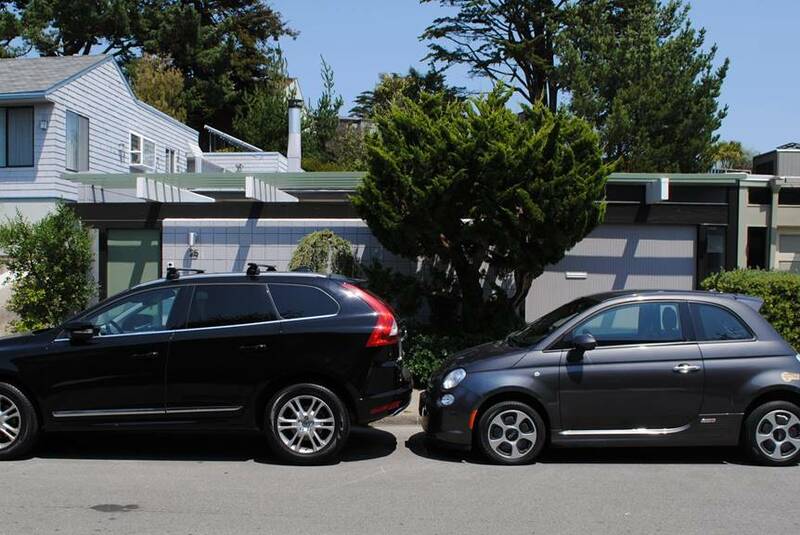 Oakland is responsible for designing the Summit apartment building and Geneva Terrace townhouses. 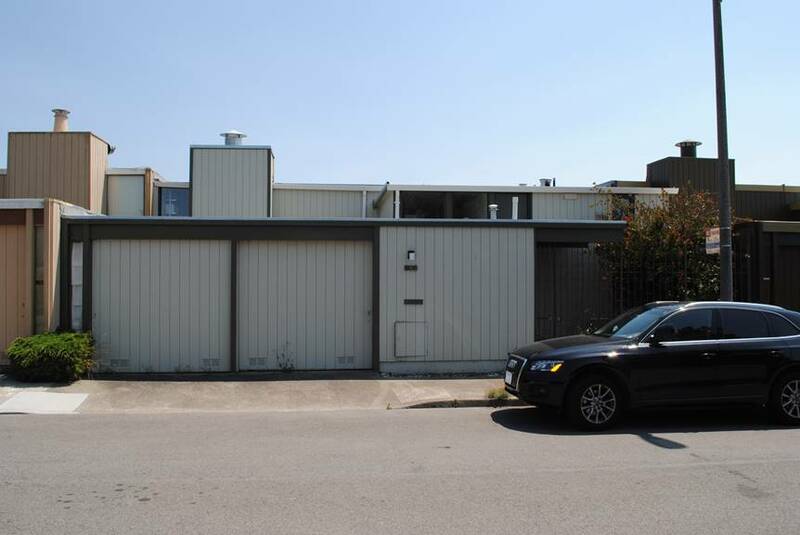 In the 1970’s following Joseph Eichler’s passing, Oakland’s company continued to design single and multi-family residential architecture, including the San Francisco Housing Authority. He was honored with a fellowship from the American Institute of Architects in 1979. Oakland is remembered not only for his tremendous talents but for his warmth, personable nature and intense ideals. 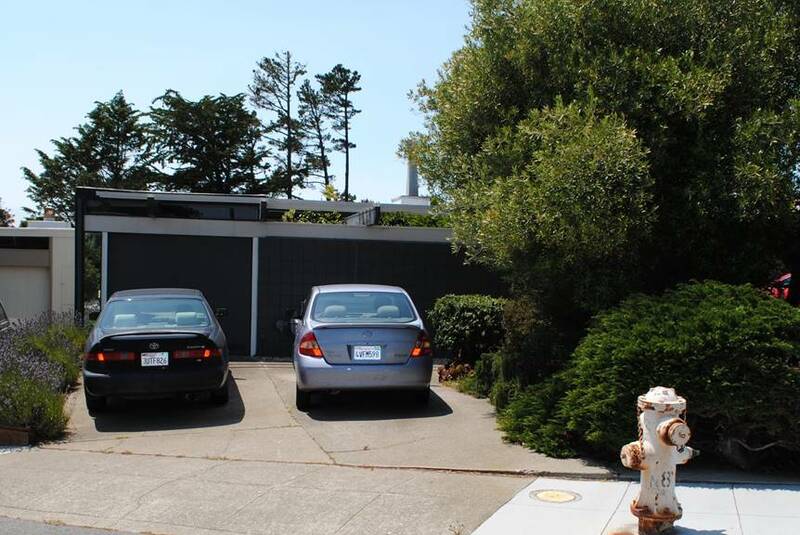 1962 - 44 Amber Drive, San Francisco, CA. Designed by Claude Oakland. 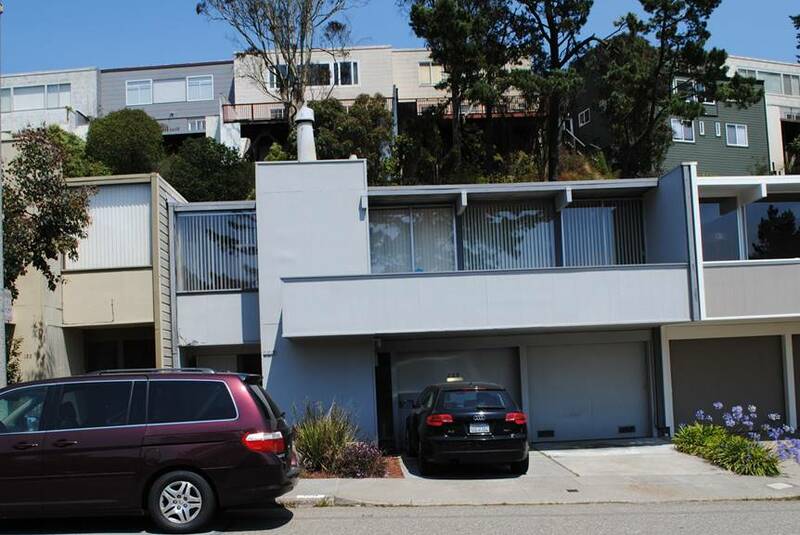 Developed by Joseph Eichler as part of the Diamond Heights Tract. Photo by Hannah Simonson. 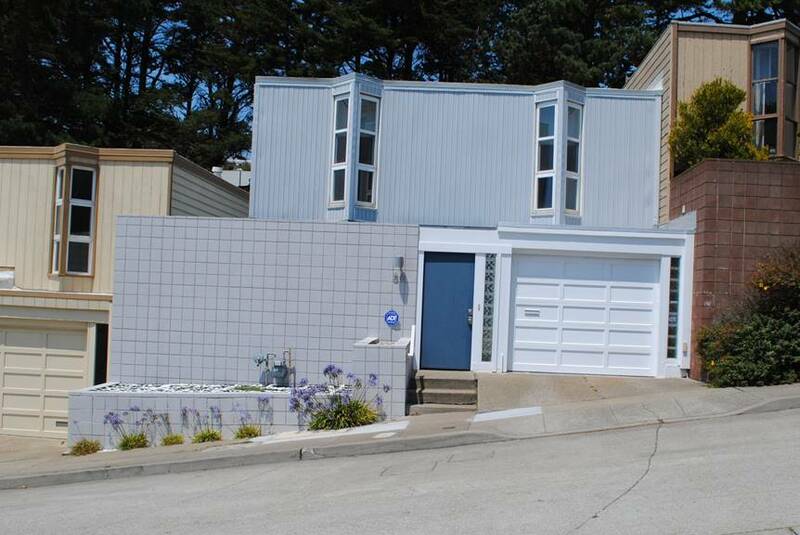 1962 - 48 Amber Drive, San Francisco, CA. Designed by Claude Oakland. 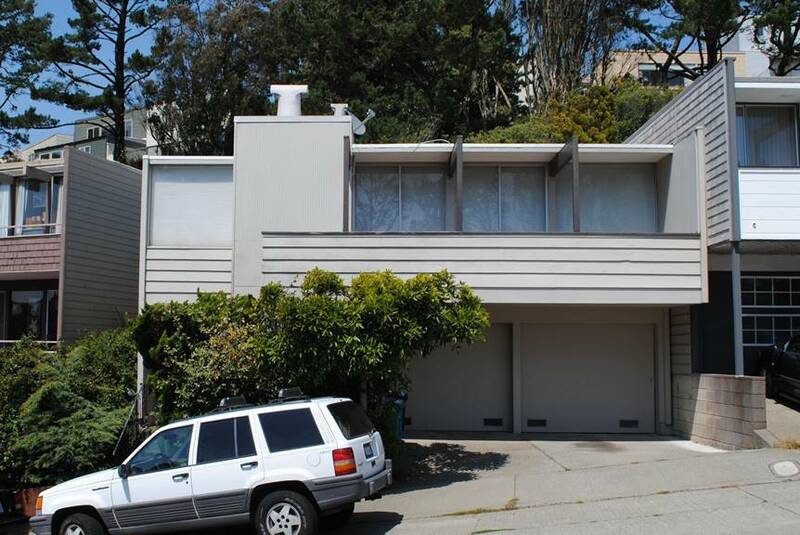 Developed by Joseph Eichler as part of the Diamond Heights Tract. Photo by Hannah Simonson. 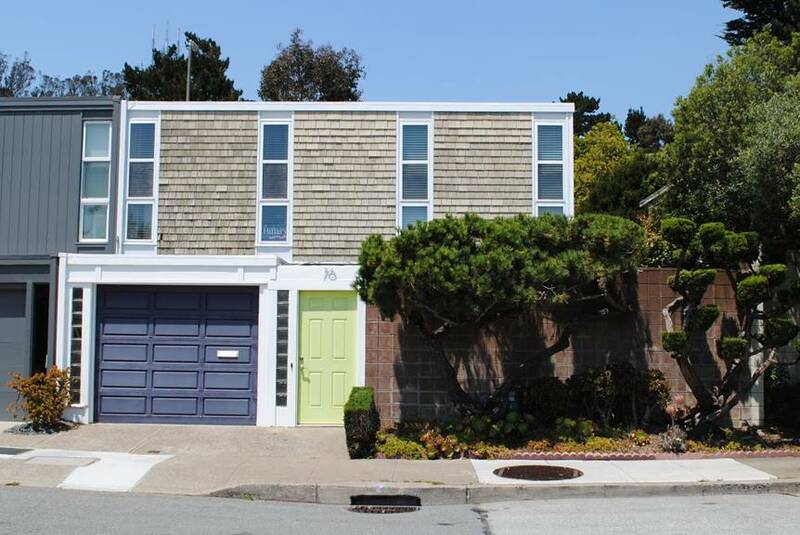 1962 - 52 Amber Drive, San Francisco, CA. Designed by Claude Oakland. 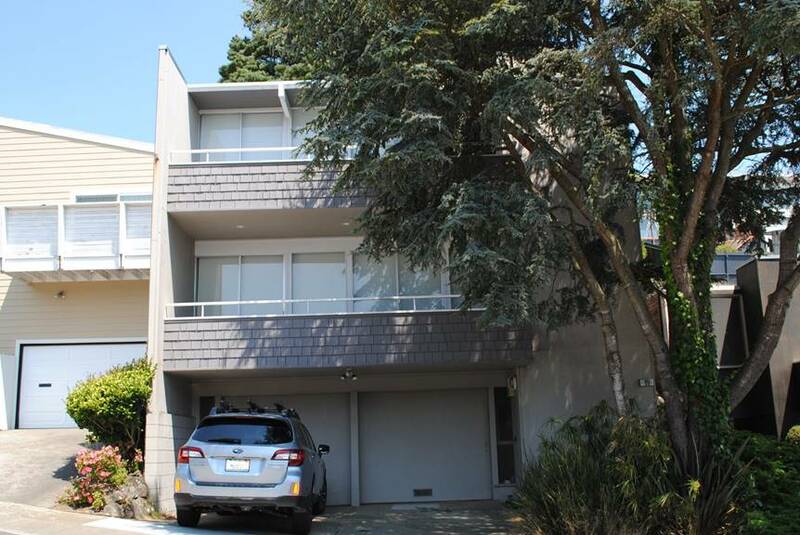 Developed by Joseph Eichler as part of the Diamond Heights Tract. Photo by Hannah Simonson. 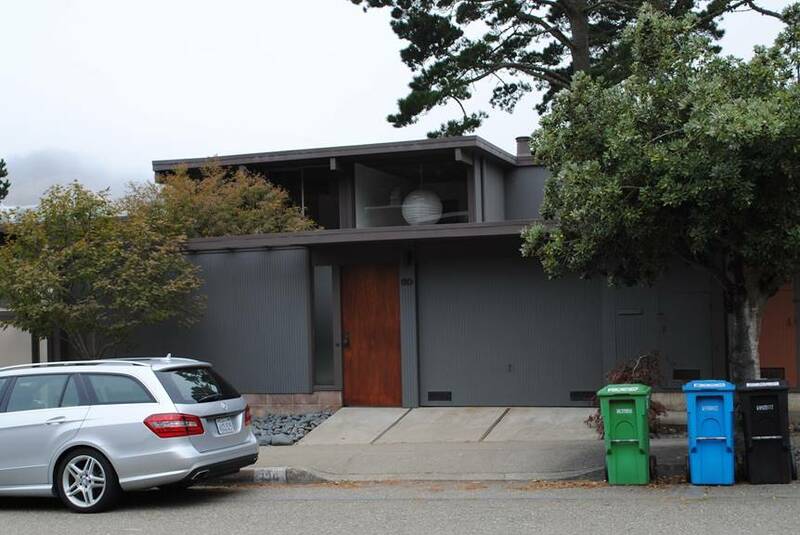 1962 - 56 Amber Drive, San Francisco, CA. Designed by Claude Oakland. Developed by Joseph Eichler as part of the Diamond Heights Tract. Photo by Hannah Simonson. 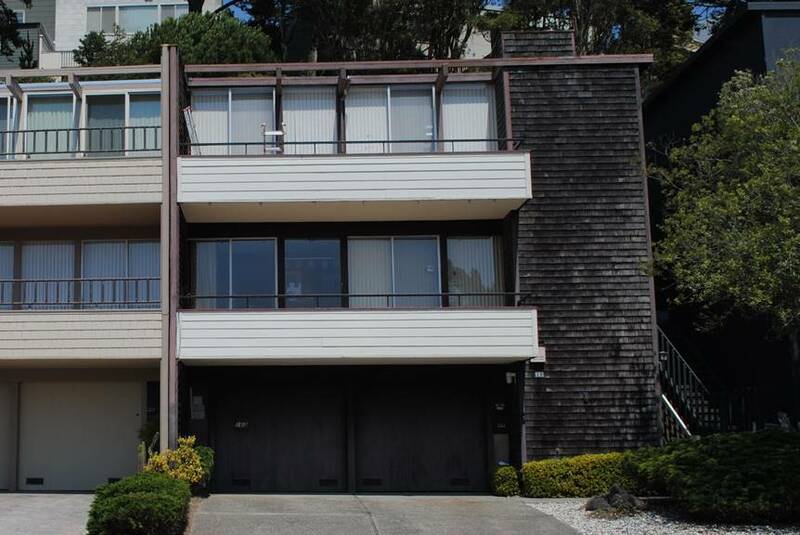 1962 - 60 Amber Drive, San Francisco, CA. Designed by Claude Oakland. Developed by Joseph Eichler as part of the Diamond Heights Tract. Photo by Hannah Simonson. 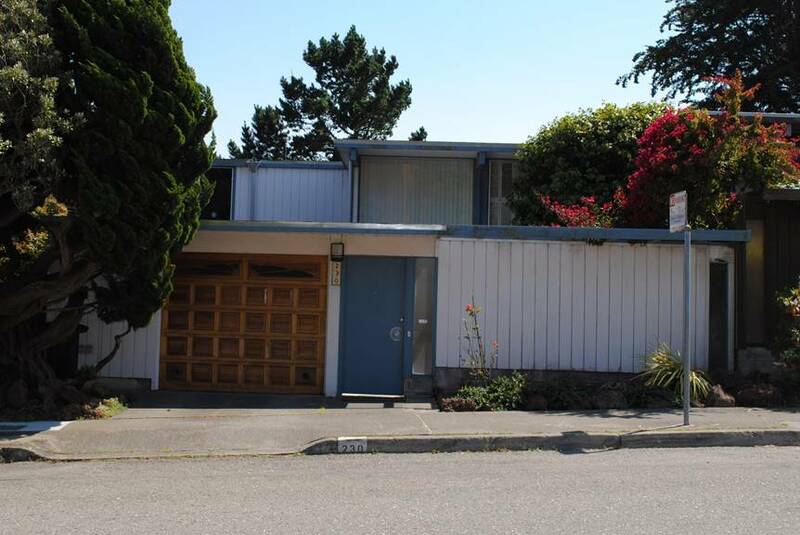 1962 - 64 Amber Drive, San Francisco, CA. Designed by Claude Oakland. Developed by Joseph Eichler as part of the Diamond Heights Tract. Photo by Hannah Simonson. 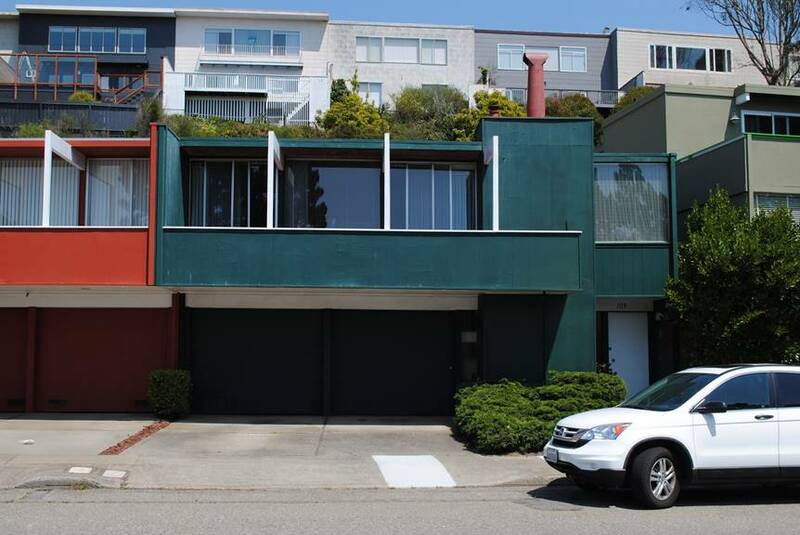 1962 - 68 Amber Drive, San Francisco, CA. Designed by Claude Oakland. 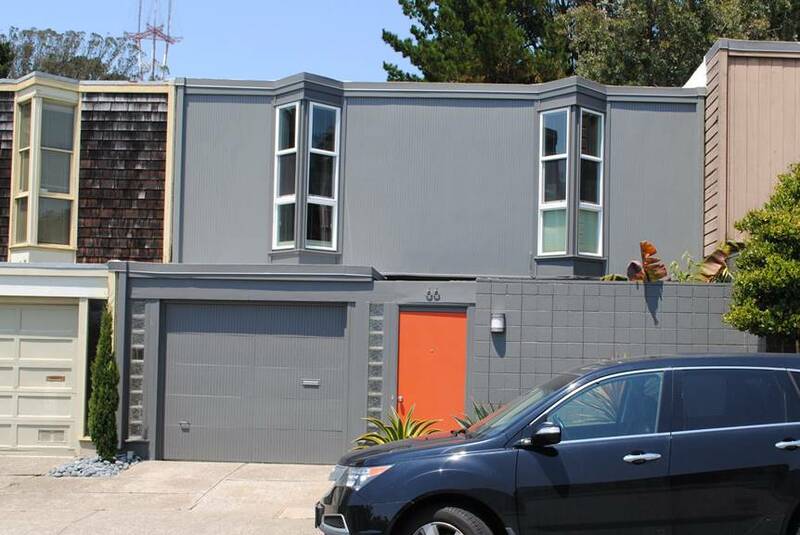 Developed by Joseph Eichler as part of the Diamond Heights Tract. Photo by Hannah Simonson. 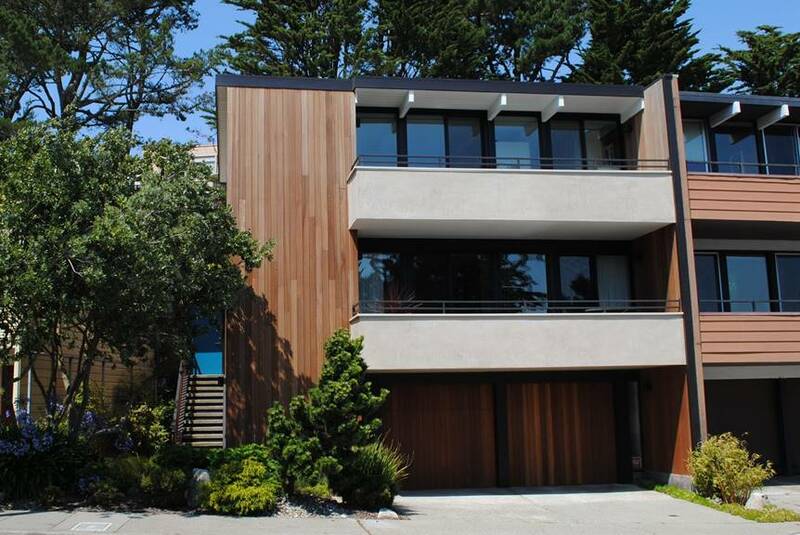 1962 - 72 Amber Drive, San Francisco, CA. Designed by Claude Oakland. 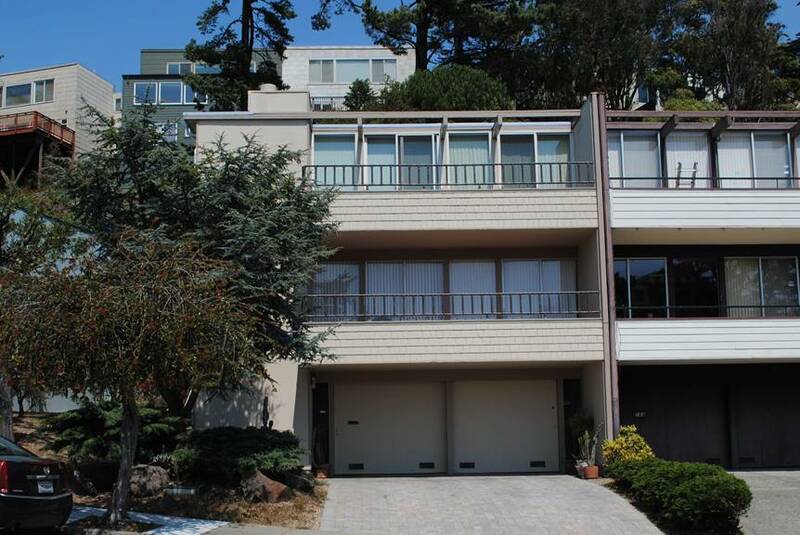 Developed by Joseph Eichler as part of the Diamond Heights Tract. Photo by Hannah Simonson. 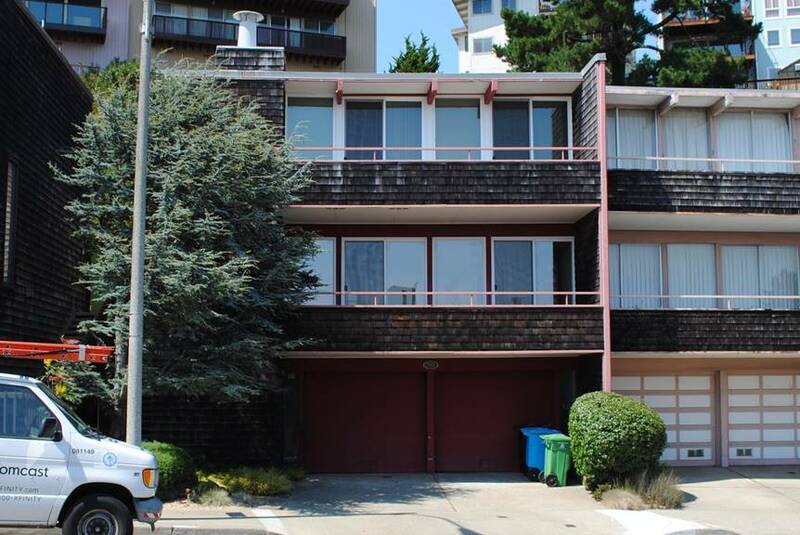 1962 - 76 Amber Drive, San Francisco, CA. Designed by Claude Oakland. Developed by Joseph Eichler as part of the Diamond Heights Tract. Photo by Hannah Simonson. 1962 - 2 Amethyst Way, San Francisco, CA. Designed by Claude Oakland. 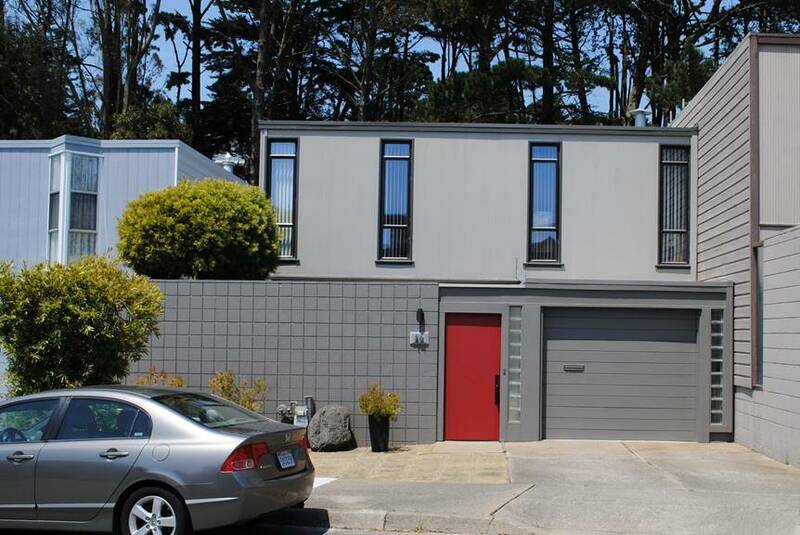 Developed by Joseph Eichler as part of the Diamond Heights Tract. Photo by Hannah Simonson. 1962 - 8 Amethyst Way, San Francisco, CA. Designed by Claude Oakland. 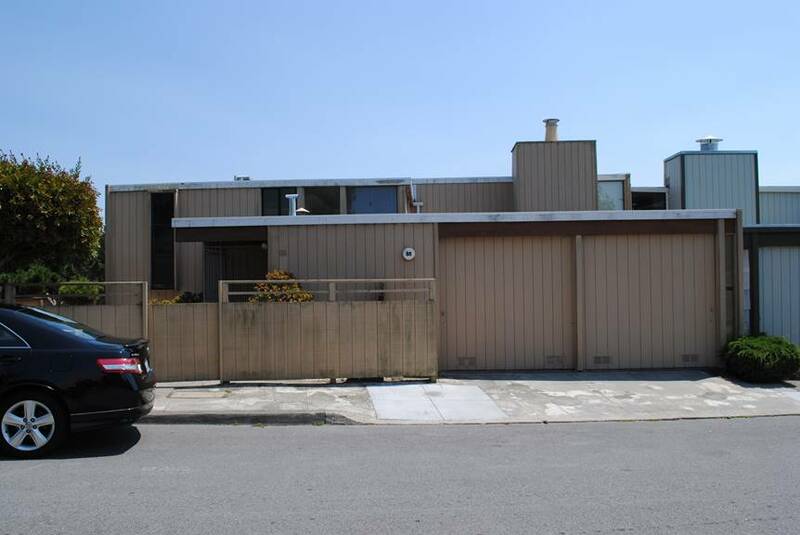 Developed by Joseph Eichler as part of the Diamond Heights Tract. Photo by Hannah Simonson. 1962 - 14 Amethyst Way, San Francisco, CA. Designed by Claude Oakland. 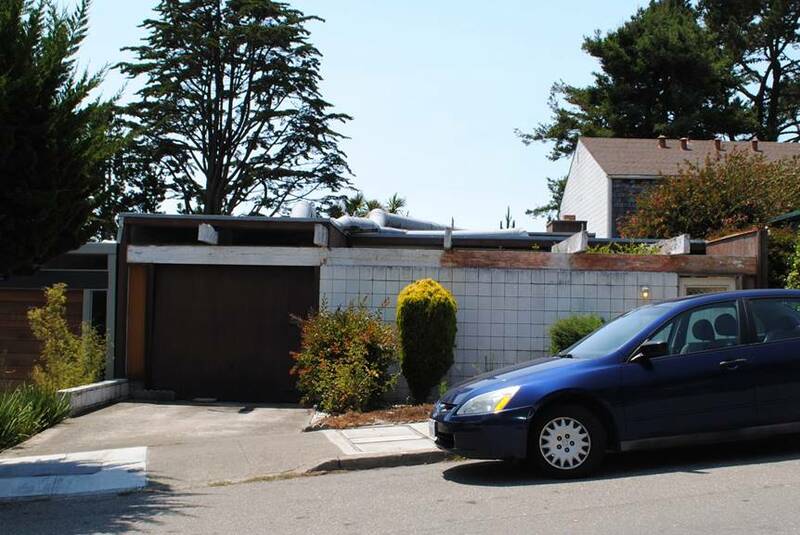 Developed by Joseph Eichler as part of the Diamond Heights Tract. Photo by Hannah Simonson. 1962 - 18 Amethyst Way, San Francisco, CA. Designed by Claude Oakland. 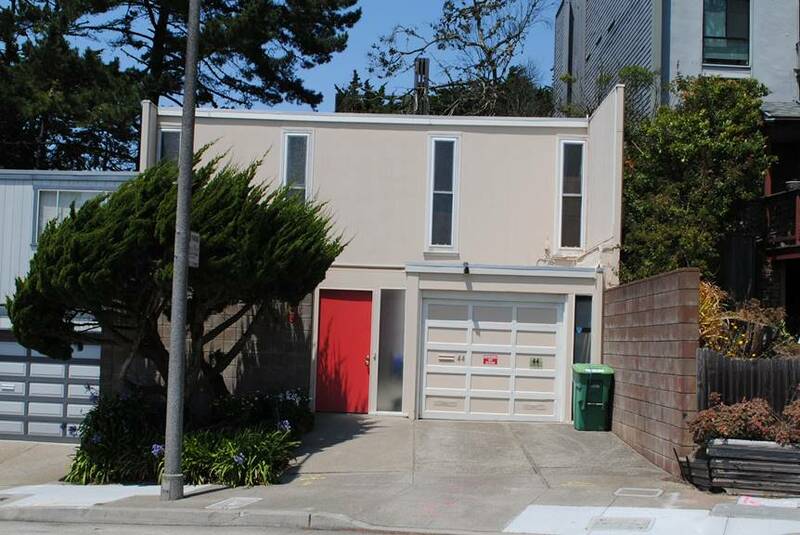 Developed by Joseph Eichler as part of the Diamond Heights Tract. Photo by Hannah Simonson. 1962 - 22 Amethyst Way, San Francisco, CA. Designed by Claude Oakland. 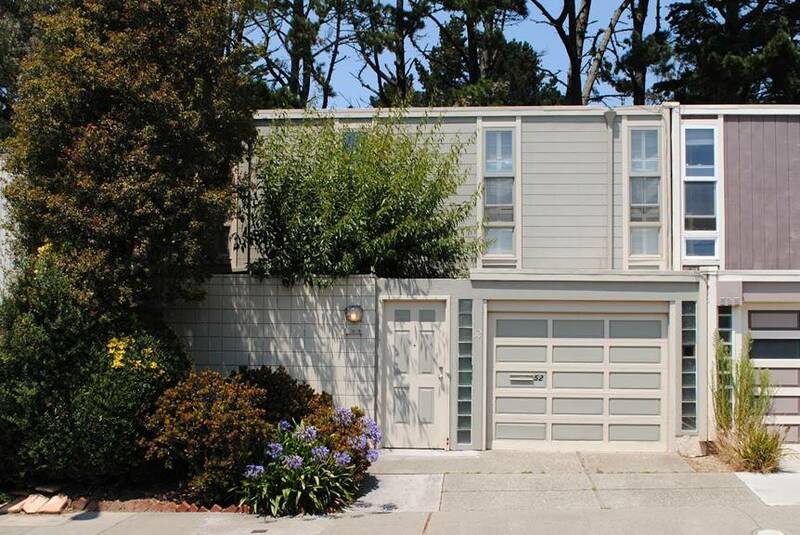 Developed by Joseph Eichler as part of the Diamond Heights Tract. Photo by Hannah Simonson. 1962 - 26 Amethyst Way, San Francisco, CA. Designed by Claude Oakland. 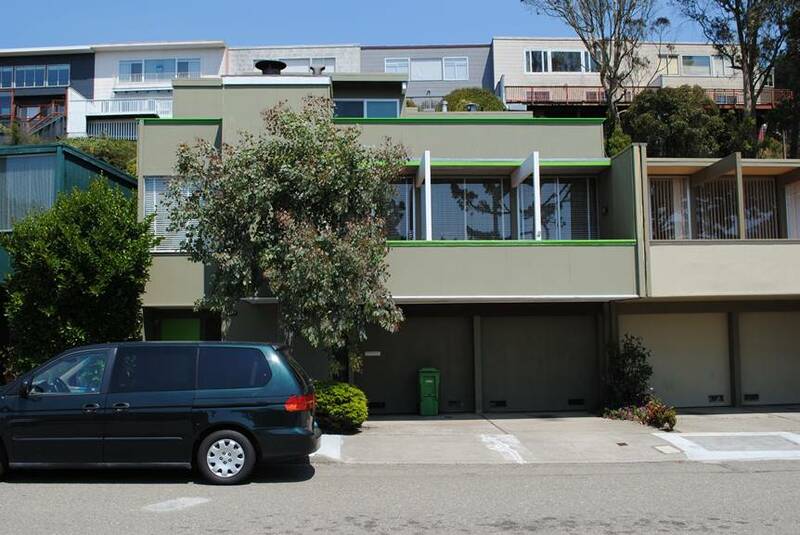 Developed by Joseph Eichler as part of the Diamond Heights Tract. Photo by Hannah Simonson. 1962 - 30 Amethyst Way, San Francisco, CA. Designed by Claude Oakland. Developed by Joseph Eichler as part of the Diamond Heights Tract. Photo by Hannah Simonson. 1962 - 34 Amethyst Way, San Francisco, CA. Designed by Claude Oakland. Developed by Joseph Eichler as part of the Diamond Heights Tract. Photo by Hannah Simonson. 1962 - 38 Amethyst Way, San Francisco, CA. Designed by Claude Oakland. Developed by Joseph Eichler as part of the Diamond Heights Tract. Photo by Hannah Simonson. 1962 - 44 Amethyst Way, San Francisco, CA. Designed by Claude Oakland. Developed by Joseph Eichler as part of the Diamond Heights Tract. Photo by Hannah Simonson. 1962 - 48 Amethyst Way, San Francisco, CA. Designed by Claude Oakland. Developed by Joseph Eichler as part of the Diamond Heights Tract. Photo by Hannah Simonson. 1962 - 52 Amethyst Way, San Francisco, CA. Designed by Claude Oakland. 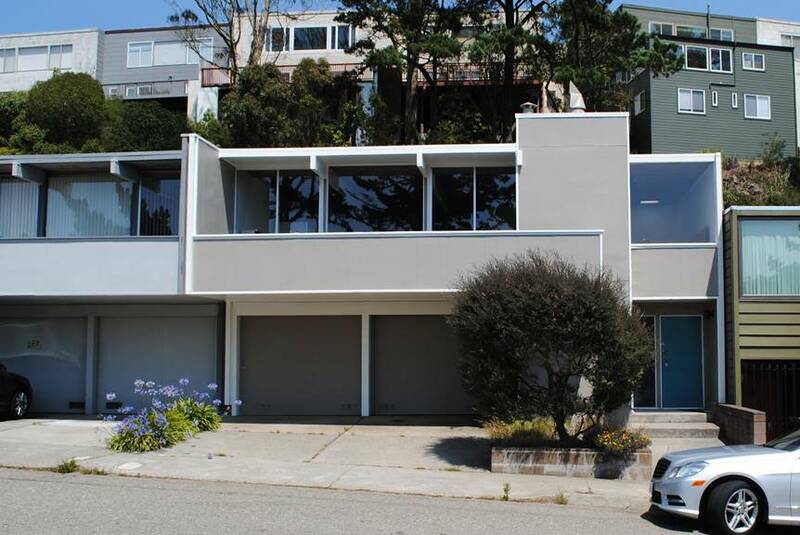 Developed by Joseph Eichler as part of the Diamond Heights Tract. Photo by Hannah Simonson. 1962 - 56 Amethyst Way, San Francisco, CA. Designed by Claude Oakland. 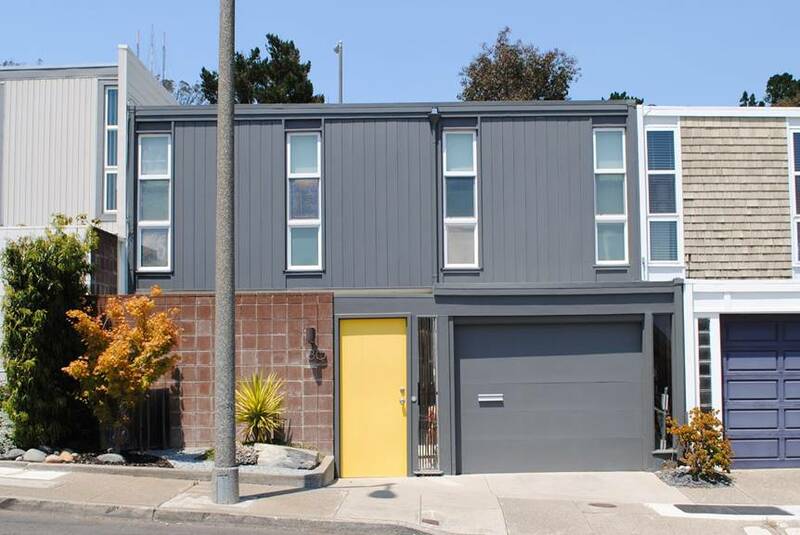 Developed by Joseph Eichler as part of the Diamond Heights Tract. Photo by Hannah Simonson. 1962 - 60 Amethyst Way, San Francisco, CA. Designed by Claude Oakland. 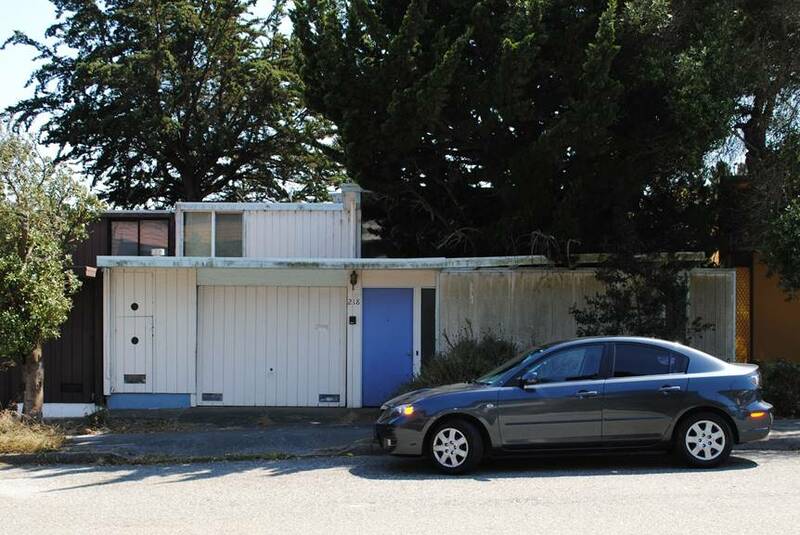 Developed by Joseph Eichler as part of the Diamond Heights Tract. Photo by Hannah Simonson. 1962 - 66 Amethyst Way, San Francisco, CA. Designed by Claude Oakland. 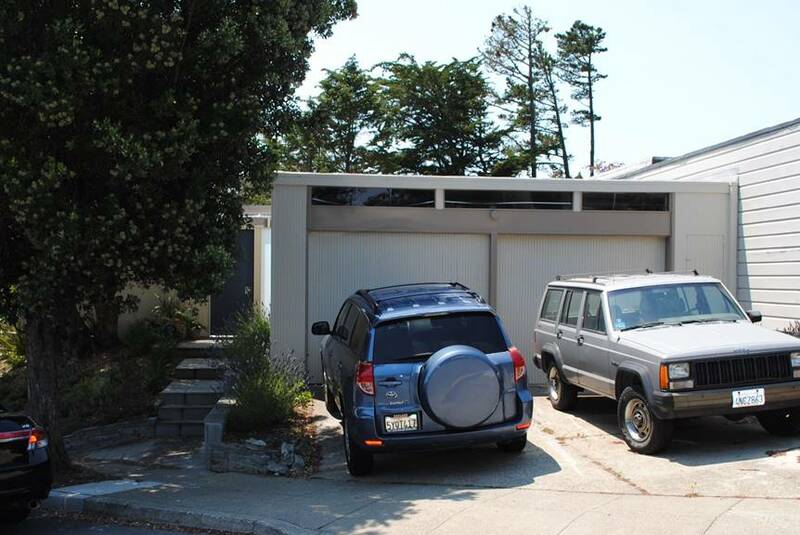 Developed by Joseph Eichler as part of the Diamond Heights Tract. Photo by Hannah Simonson. 1962 - 72 Amethyst Way, San Francisco, CA. Designed by Claude Oakland. 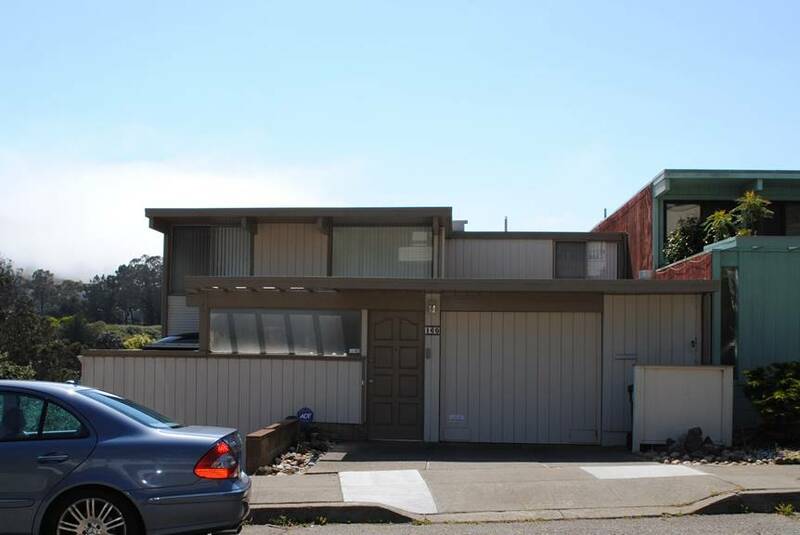 Developed by Joseph Eichler as part of the Diamond Heights Tract. Photo by Hannah Simonson. 1962 - 76 Amethyst Way, San Francisco, CA. Designed by Claude Oakland. 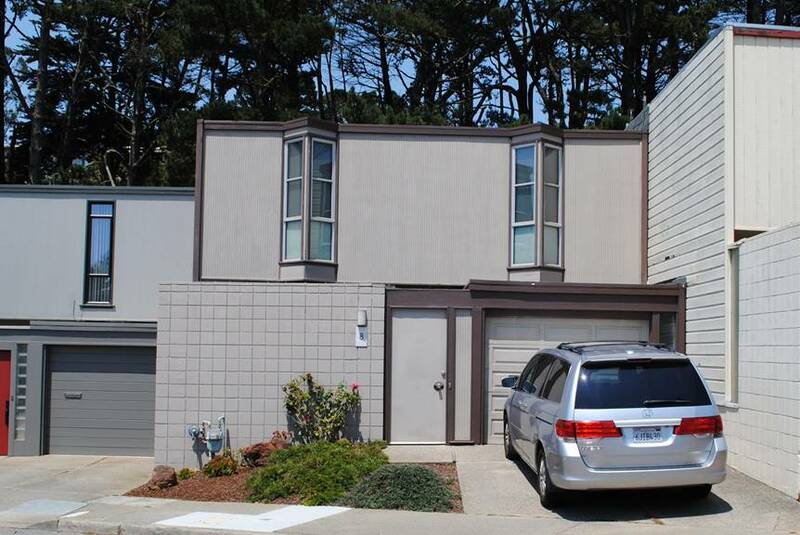 Developed by Joseph Eichler as part of the Diamond Heights Tract. Photo by Hannah Simonson. 1962 - 80 Amethyst Way, San Francisco, CA. Designed by Claude Oakland. 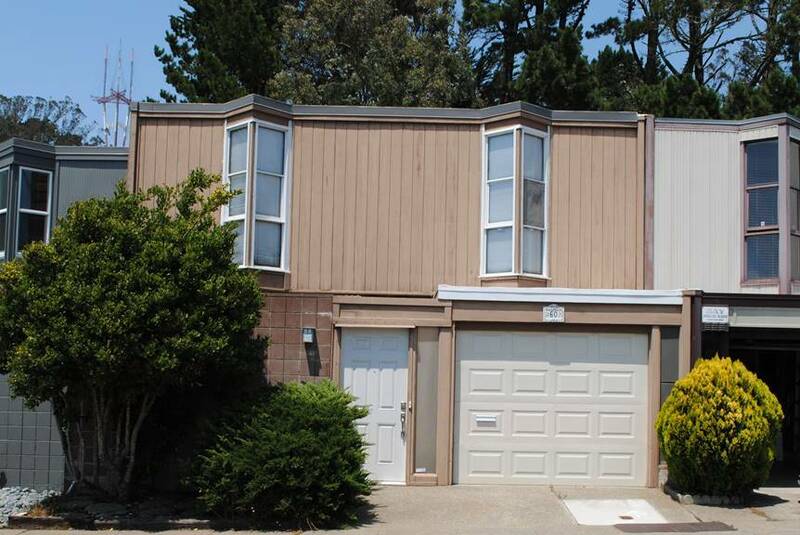 Developed by Joseph Eichler as part of the Diamond Heights Tract. Photo by Hannah Simonson. 1962 - 84 Amethyst Way, San Francisco, CA. Designed by Claude Oakland. 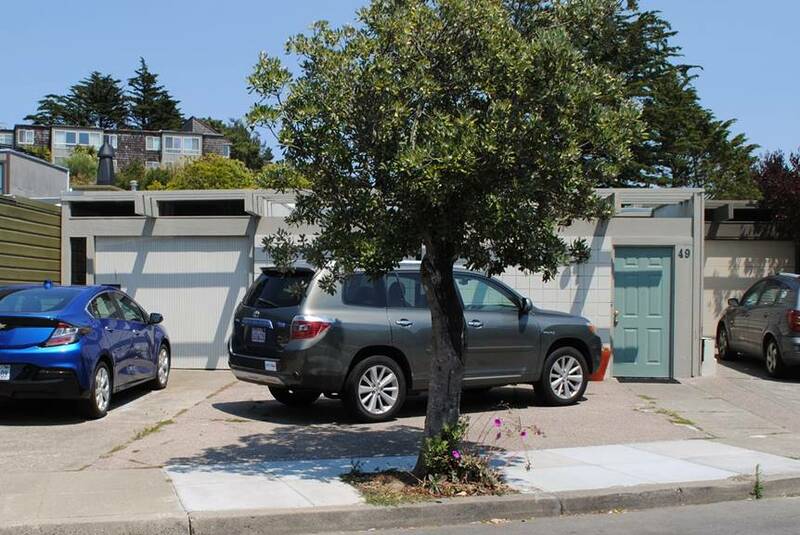 Developed by Joseph Eichler as part of the Diamond Heights Tract. Photo by Hannah Simonson. 1962 - 90 Amethyst Way, San Francisco, CA. Designed by Claude Oakland. 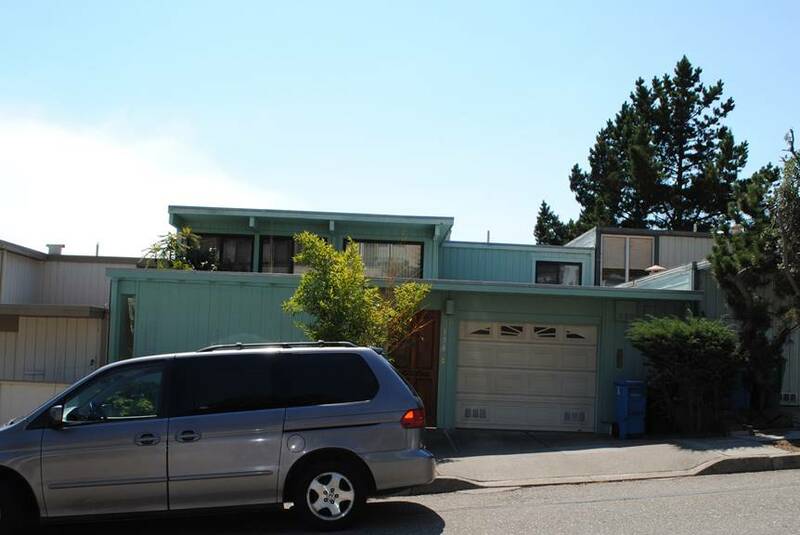 Developed by Joseph Eichler as part of the Diamond Heights Tract. Photo by Hannah Simonson. 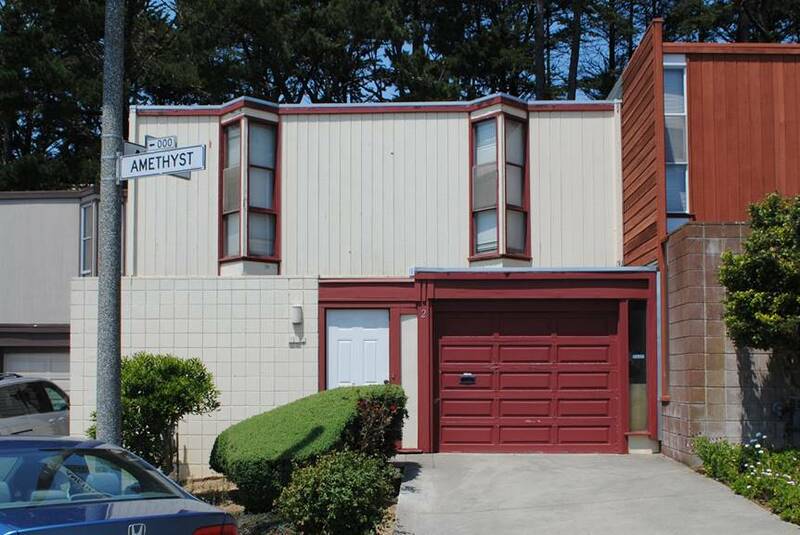 1962 - 96 Amethyst Way, San Francisco, CA. Designed by Claude Oakland. 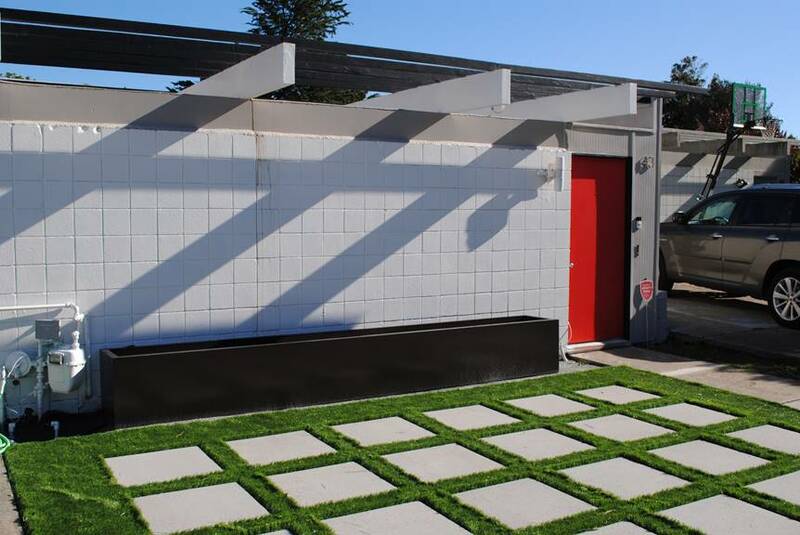 Developed by Joseph Eichler as part of the Diamond Heights Tract. Photo by Hannah Simonson. 1962 - 190 Amber Drive, San Francisco, CA. Designed by Claude Oakland. Developed by Joseph Eichler as part of the Diamond Heights Tract. Photo by Hannah Simonson. 1962 - 196 Amber Drive, San Francisco, CA. Designed by Claude Oakland. Developed by Joseph Eichler as part of the Diamond Heights Tract. Photo by Hannah Simonson. 1962 - 200 Amber Drive, San Francisco, CA. Designed by Claude Oakland. 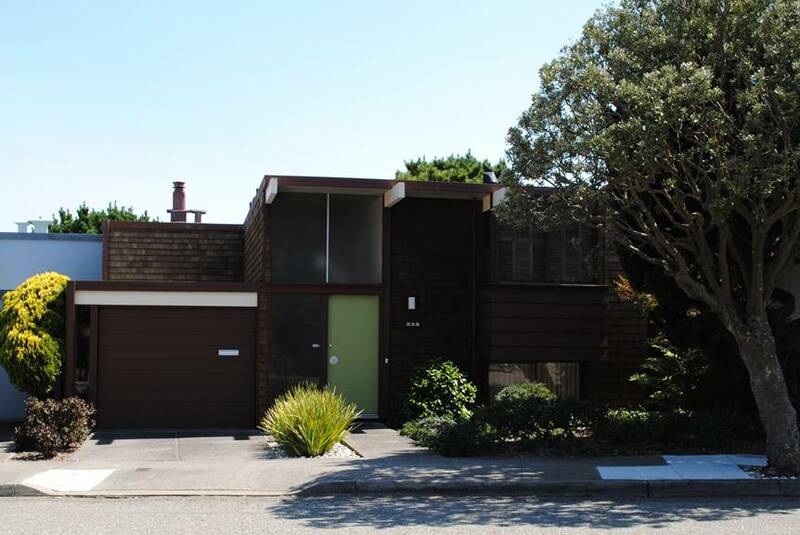 Developed by Joseph Eichler as part of the Diamond Heights Tract. Photo by Hannah Simonson. 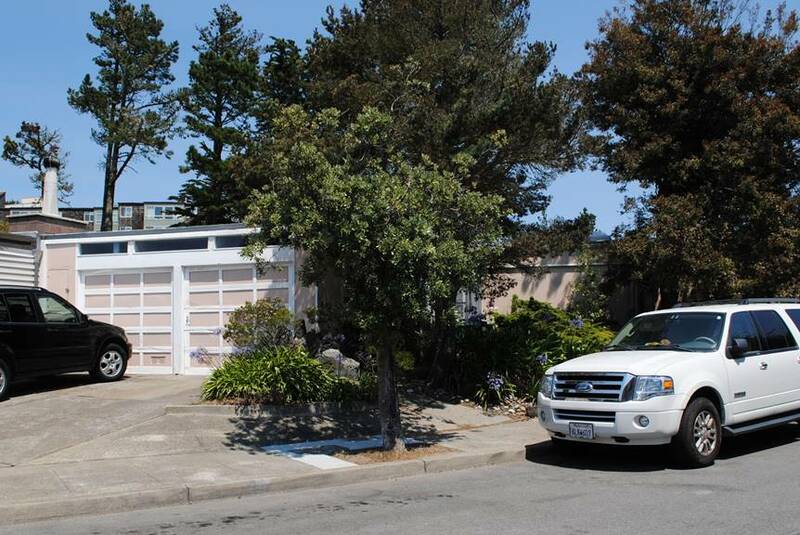 1962 - 206 Amber Drive, San Francisco, CA. Designed by Claude Oakland. 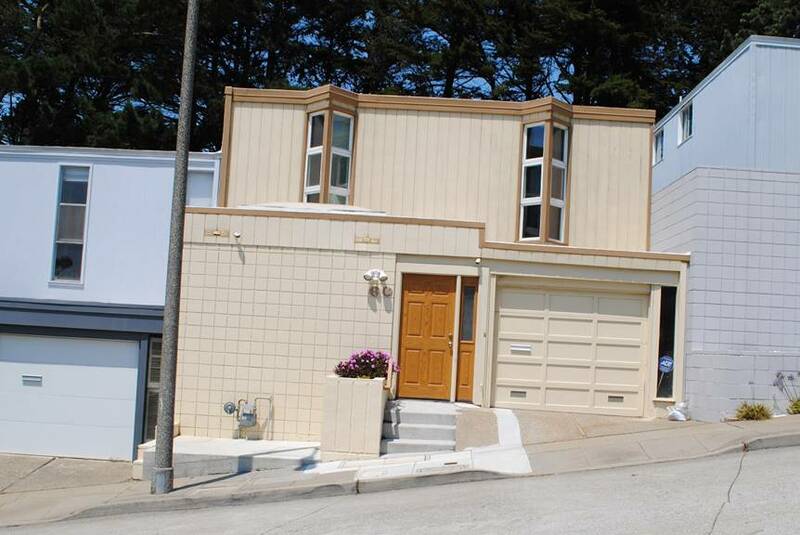 Developed by Joseph Eichler as part of the Diamond Heights Tract. Photo by Hannah Simonson. 1962 - 212 Amber Drive, San Francisco, CA. Designed by Claude Oakland. Developed by Joseph Eichler as part of the Diamond Heights Tract. Photo by Hannah Simonson. 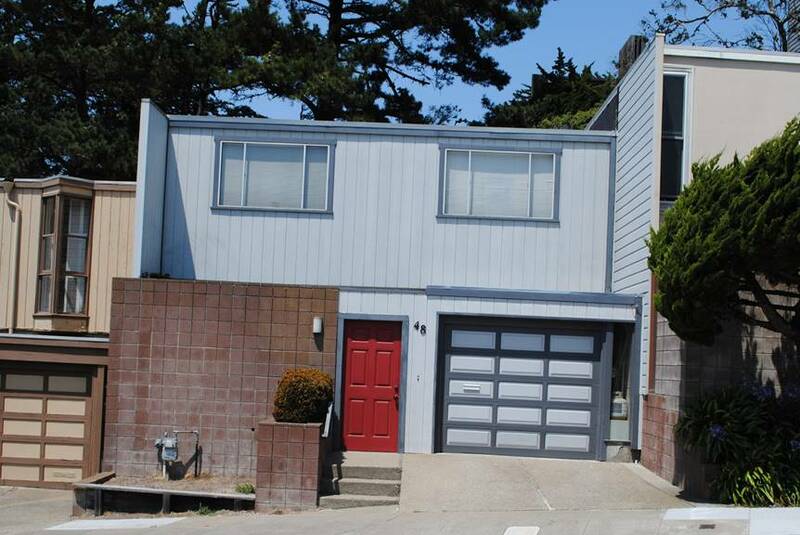 1962 - 218 Amber Drive, San Francisco, CA. Designed by Claude Oakland. Developed by Joseph Eichler as part of the Diamond Heights Tract. Photo by Hannah Simonson. 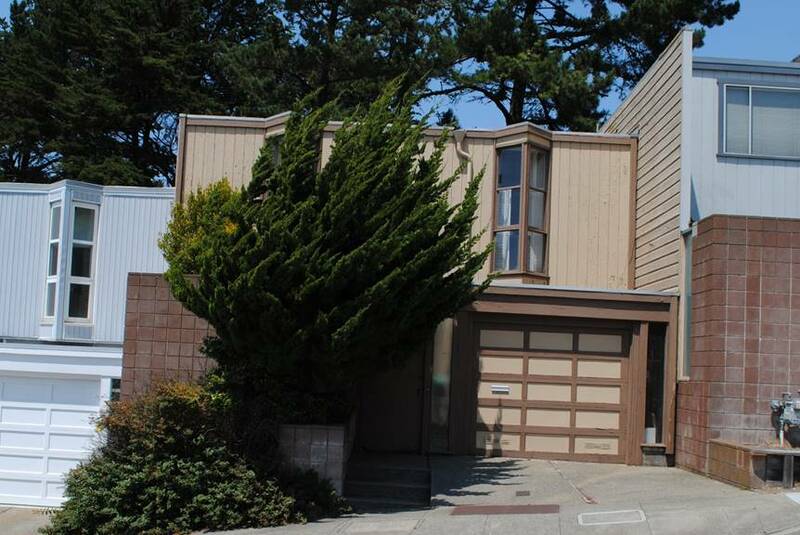 1962 - 224 Amber Drive, San Francisco, CA. Designed by Claude Oakland. Developed by Joseph Eichler as part of the Diamond Heights Tract. Photo by Hannah Simonson. 1962 - 230 Amber Drive, San Francisco, CA. Designed by Claude Oakland. Developed by Joseph Eichler as part of the Diamond Heights Tract. Photo by Hannah Simonson. 1962 - 236 Amber Drive, San Francisco, CA. Designed by Claude Oakland. Developed by Joseph Eichler as part of the Diamond Heights Tract. Photo by Hannah Simonson. 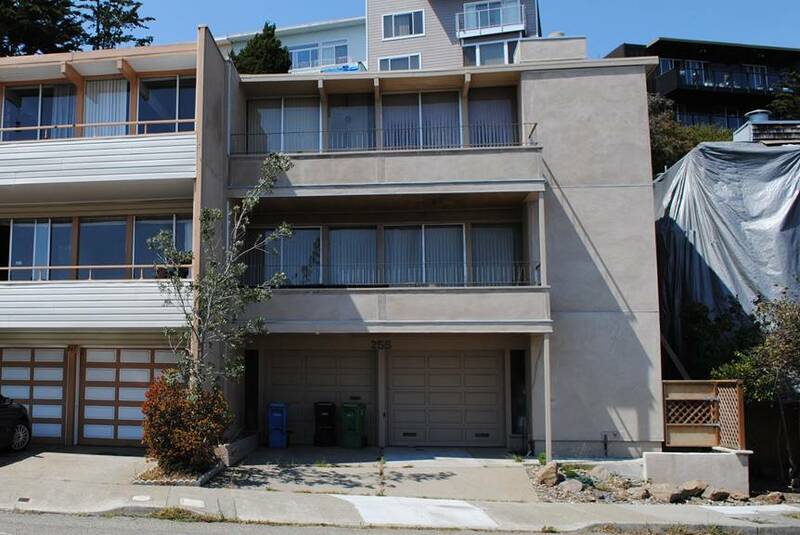 1962 - 242 Amber Drive, San Francisco, CA. Designed by Claude Oakland. Developed by Joseph Eichler as part of the Diamond Heights Tract. Photo by Hannah Simonson. 1962 - 248 Amber Drive, San Francisco, CA. Designed by Claude Oakland. Developed by Joseph Eichler as part of the Diamond Heights Tract. Photo by Hannah Simonson. 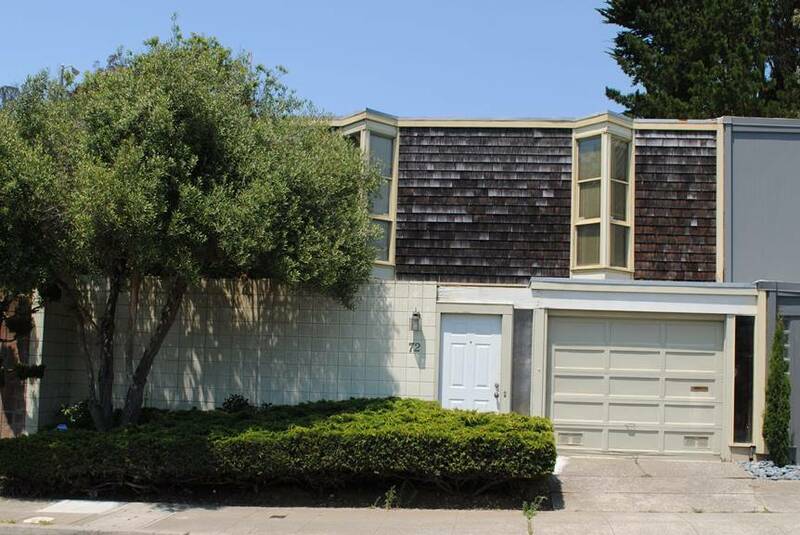 1962 - 254 Amber Drive, San Francisco, CA. Designed by Claude Oakland. Developed by Joseph Eichler as part of the Diamond Heights Tract. Photo by Hannah Simonson. 1962 - 106 Amber Drive, San Francisco, CA. Designed by Claude Oakland. Developed by Joseph Eichler as part of the Diamond Heights Tract. Photo by Hannah Simonson. 1962 - 112 Amber Drive, San Francisco, CA. Designed by Claude Oakland. Developed by Joseph Eichler as part of the Diamond Heights Tract. Photo by Hannah Simonson. 1962 - 118 Amber Drive, San Francisco, CA. Designed by Claude Oakland. Developed by Joseph Eichler as part of the Diamond Heights Tract. Photo by Hannah Simonson. 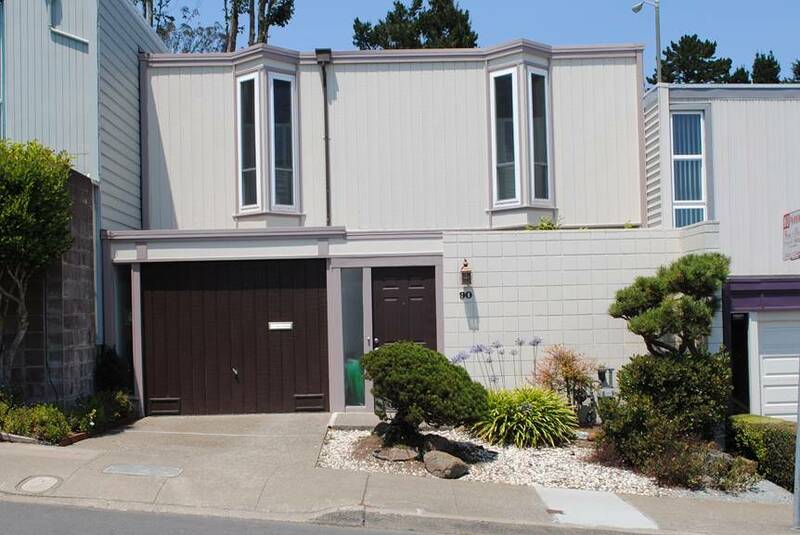 1962 - 124 Amber Drive, San Francisco, CA. Designed by Claude Oakland. 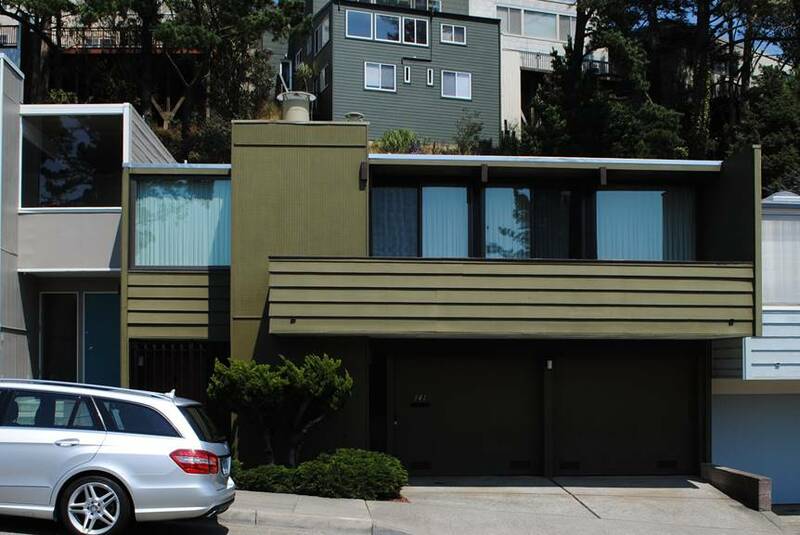 Developed by Joseph Eichler as part of the Diamond Heights Tract. Photo by Hannah Simonson. 1962 - 130 Amber Drive, San Francisco, CA. Designed by Claude Oakland. 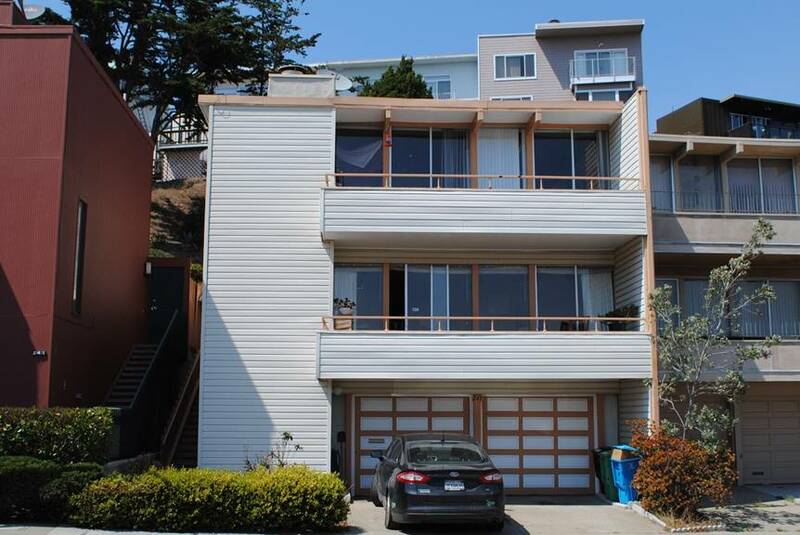 Developed by Joseph Eichler as part of the Diamond Heights Tract. Photo by Hannah Simonson. 1962 - 136 Amber Drive, San Francisco, CA. Designed by Claude Oakland. 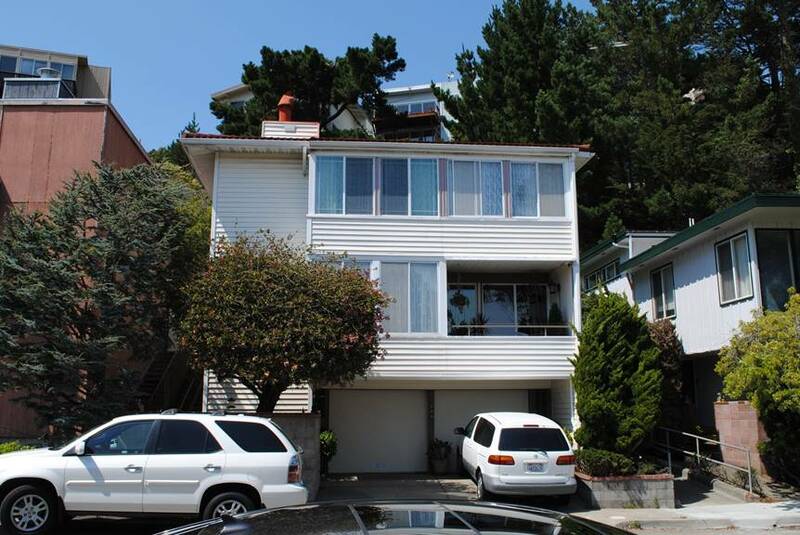 Developed by Joseph Eichler as part of the Diamond Heights Tract. Photo by Hannah Simonson. 1962 - 142 Amber Drive, San Francisco, CA. Designed by Claude Oakland. Developed by Joseph Eichler as part of the Diamond Heights Tract. Photo by Hannah Simonson. 1962 - 148 Amber Drive, San Francisco, CA. Designed by Claude Oakland. 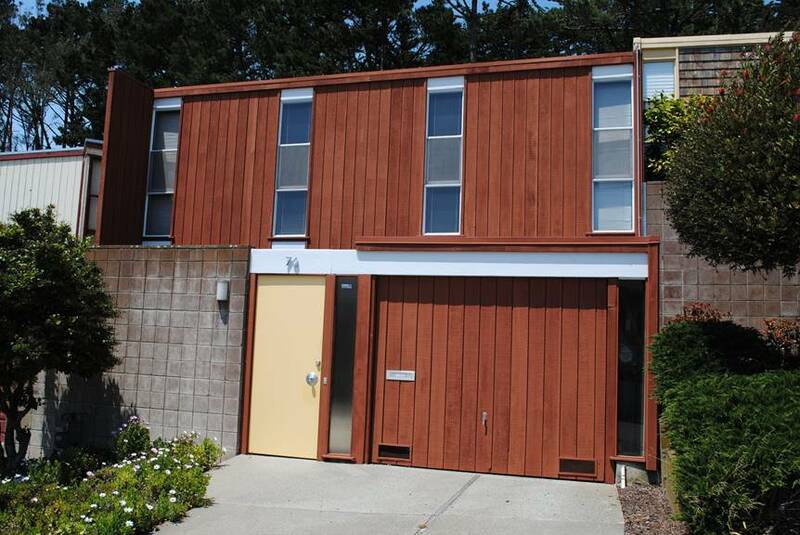 Developed by Joseph Eichler as part of the Diamond Heights Tract. Photo by Hannah Simonson. 1962 - 1954 Amber Drive, San Francisco, CA. Designed by Claude Oakland. 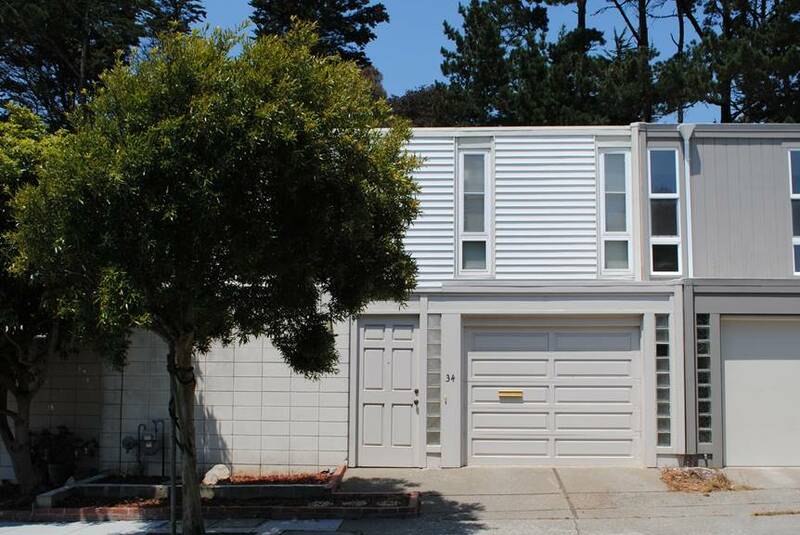 Developed by Joseph Eichler as part of the Diamond Heights Tract. Photo by Hannah Simonson. 1962 - 166 Amber Drive, San Francisco, CA. Designed by Claude Oakland. 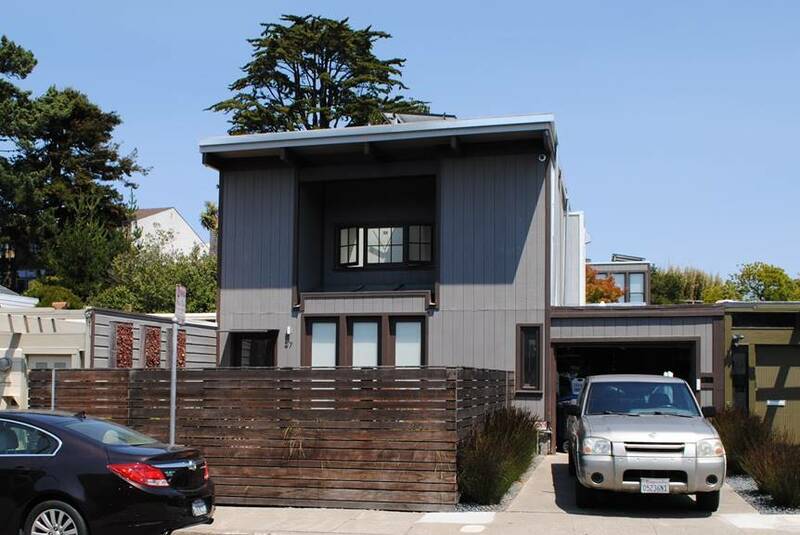 Developed by Joseph Eichler as part of the Diamond Heights Tract. Photo by Hannah Simonson. 1962 - 172 Amber Drive, San Francisco, CA. Designed by Claude Oakland. 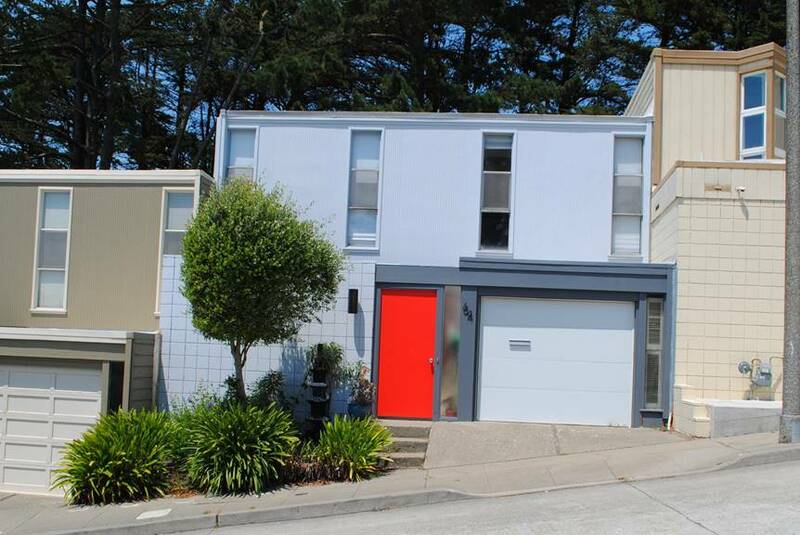 Developed by Joseph Eichler as part of the Diamond Heights Tract. Photo by Hannah Simonson. 1962 - 178 Amber Drive, San Francisco, CA. Designed by Claude Oakland. 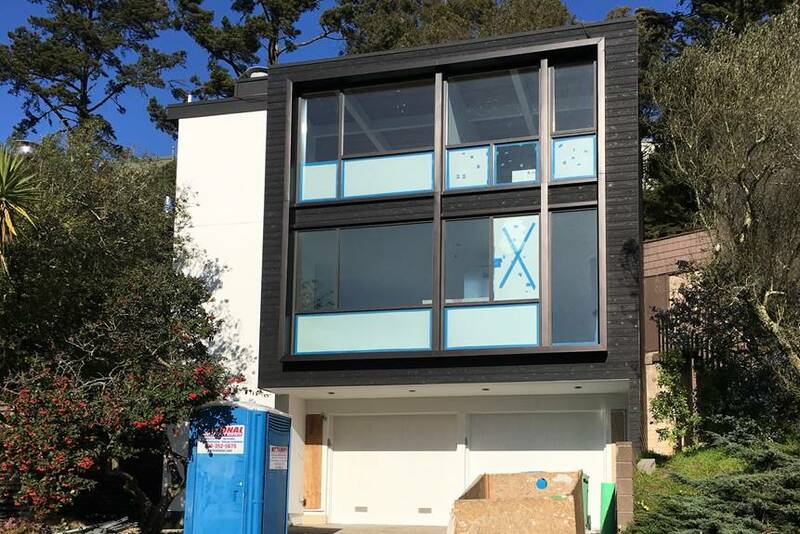 Developed by Joseph Eichler as part of the Diamond Heights Tract. Photo by Hannah Simonson. 1962 - 184 Amber Drive, San Francisco, CA. Designed by Claude Oakland. 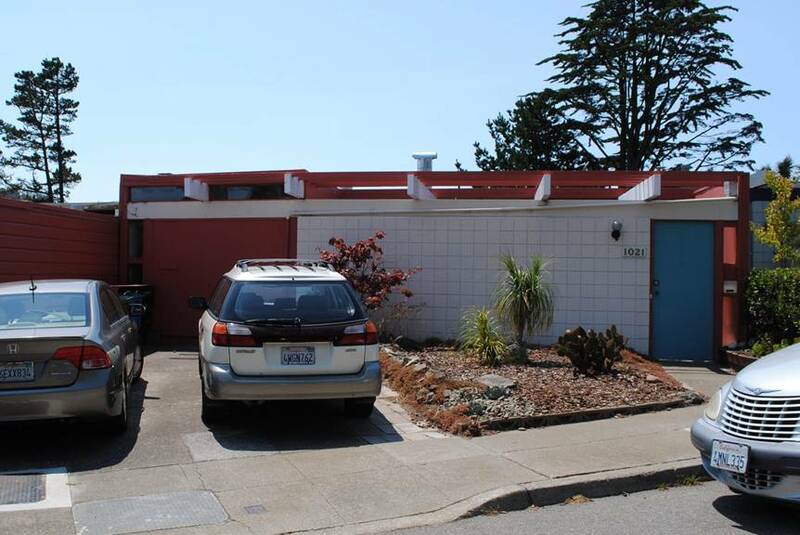 Developed by Joseph Eichler as part of the Diamond Heights Tract. Photo by Hannah Simonson. 1965 - 235 Amber Drive, San Francisco, CA. Designed by Claude Oakland. 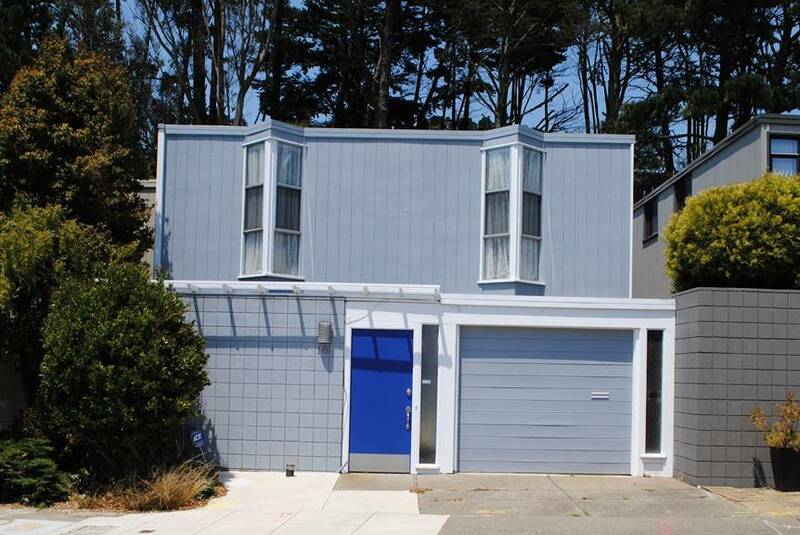 Developed by Joseph Eichler as part of the Diamond Heights Tract. Photo by Hannah Simonson. 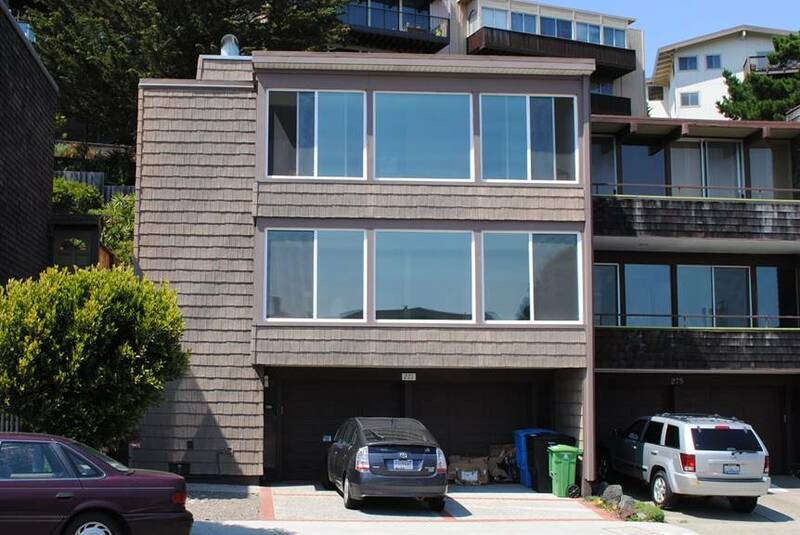 1962 - 225 Amber Drive, San Francisco, CA. Designed by Claude Oakland. 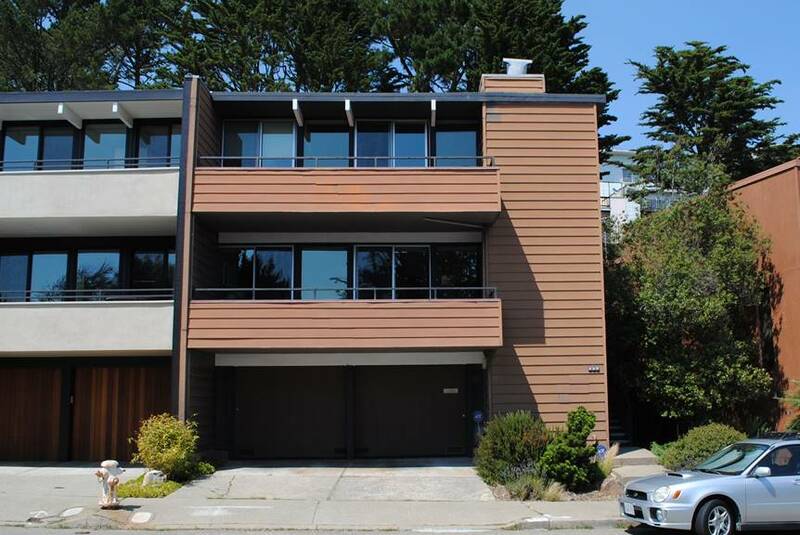 Developed by Joseph Eichler as part of the Diamond Heights Tract. Photo by Hannah Simonson. 1962 - 215 Amber Drive, San Francisco, CA. Designed by Claude Oakland. 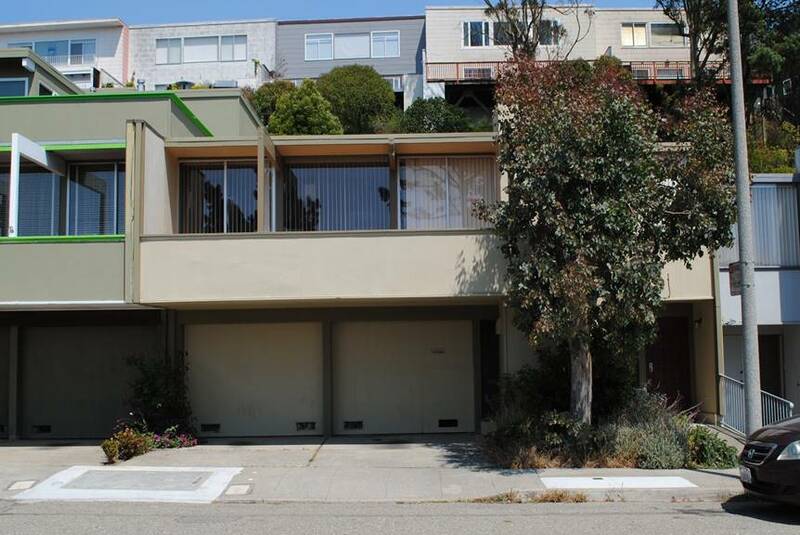 Developed by Joseph Eichler as part of the Diamond Heights Tract. Photo by Hannah Simonson. 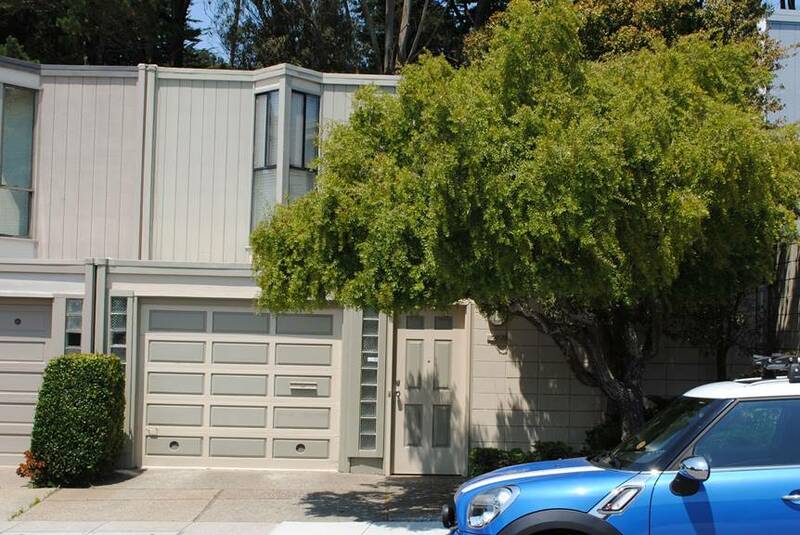 1962 - 207 Amber Drive, San Francisco, CA. Designed by Claude Oakland. 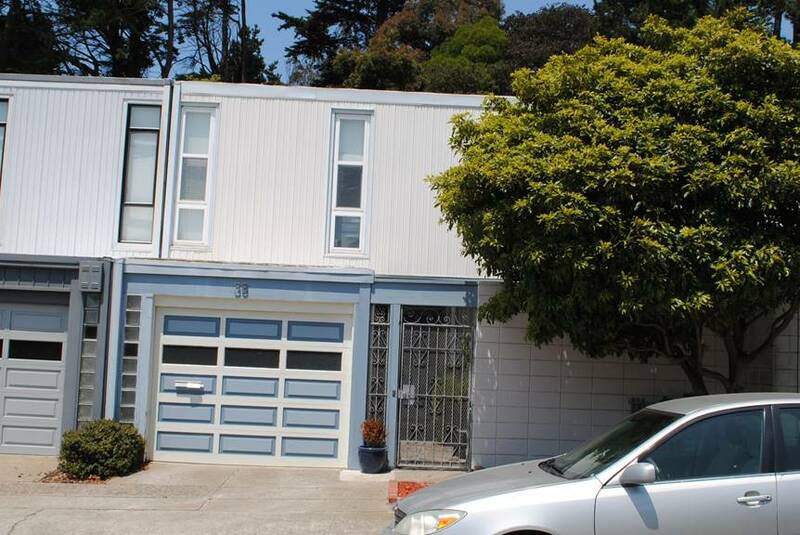 Developed by Joseph Eichler as part of the Diamond Heights Tract. Photo by Hannah Simonson. 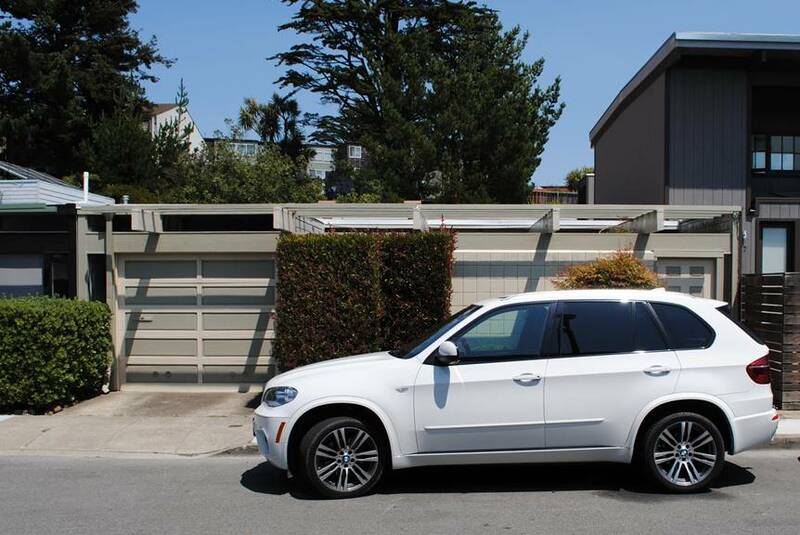 201 Amber Drive, San Francisco, CA. Designed by Claude Oakland. Developed by Joseph Eichler as part of the Diamond Heights Tract. Photo by Hannah Simonson. 1963 - 195 Amber Drive, San Francisco, CA. Designed by Claude Oakland. Developed by Joseph Eichler as part of the Diamond Heights Tract. Photo by Hannah Simonson. 1963 - 185 Amber Drive, San Francisco, CA. Designed by Claude Oakland. 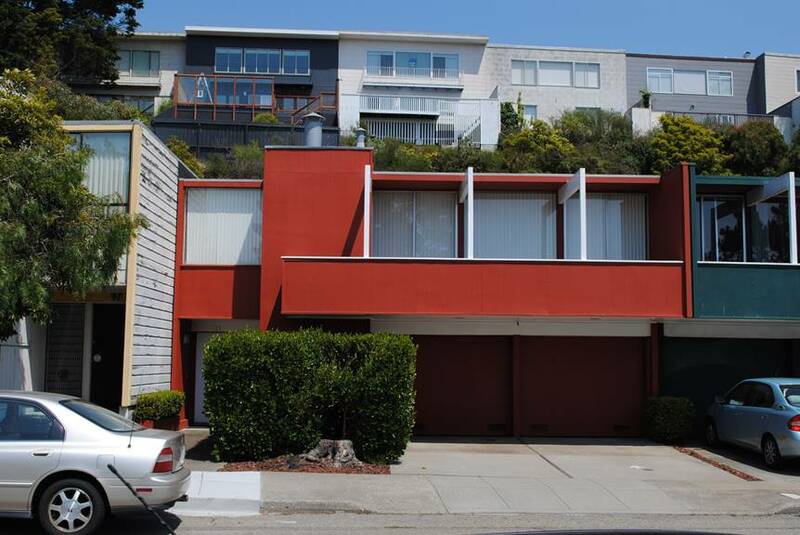 Developed by Joseph Eichler as part of the Diamond Heights Tract. Photo by Hannah Simonson. 1963 - 175 Amber Drive, San Francisco, CA. Designed by Claude Oakland. Developed by Joseph Eichler as part of the Diamond Heights Tract. Photo by Hannah Simonson. 1963 - 169 Amber Drive, San Francisco, CA. Designed by Claude Oakland. 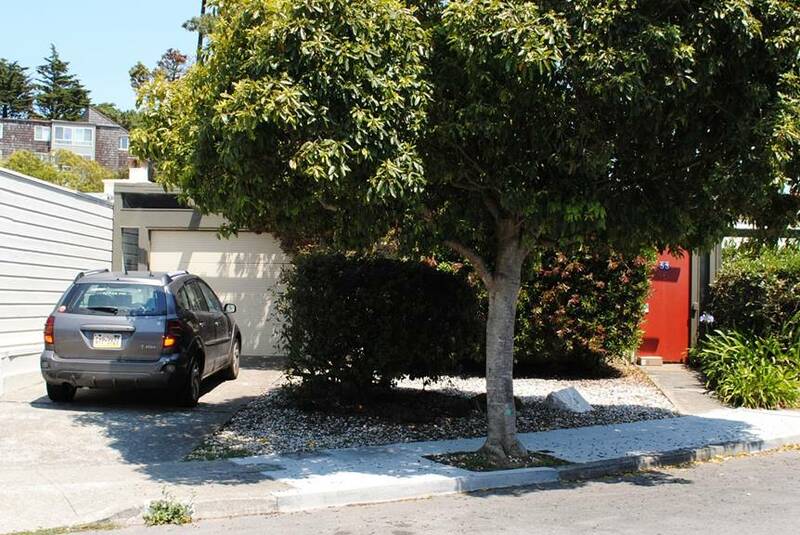 Developed by Joseph Eichler as part of the Diamond Heights Tract. Photo by Hannah Simonson. 1963 - 163 Amber Drive, San Francisco, CA. Designed by Claude Oakland. Developed by Joseph Eichler as part of the Diamond Heights Tract. Photo by Hannah Simonson. 1963 - 157 Amber Drive, San Francisco, CA. Designed by Claude Oakland. Developed by Joseph Eichler as part of the Diamond Heights Tract. Photo by Hannah Simonson. 1963 - 149 Amber Drive, San Francisco, CA. Designed by Claude Oakland. Developed by Joseph Eichler as part of the Diamond Heights Tract. Photo by Hannah Simonson. 1963 - 141 Amber Drive, San Francisco, CA. Designed by Claude Oakland. Developed by Joseph Eichler as part of the Diamond Heights Tract. Photo by Hannah Simonson. 1965 - 135 Amber Drive, San Francisco, CA. Designed by Claude Oakland. Developed by Joseph Eichler as part of the Diamond Heights Tract. Photo by Hannah Simonson. 1965 - 129 Amber Drive, San Francisco, CA. Designed by Claude Oakland. 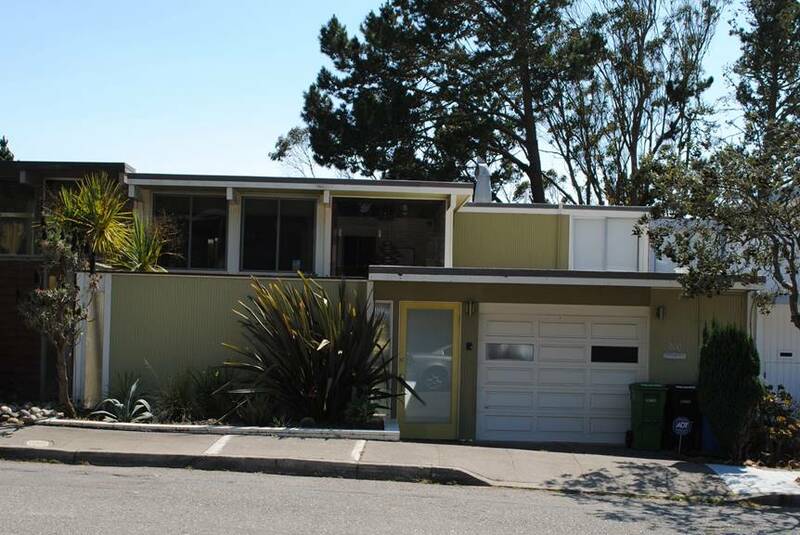 Developed by Joseph Eichler as part of the Diamond Heights Tract. Photo by Hannah Simonson. 1965 - 123 Amber Drive, San Francisco, CA. Designed by Claude Oakland. 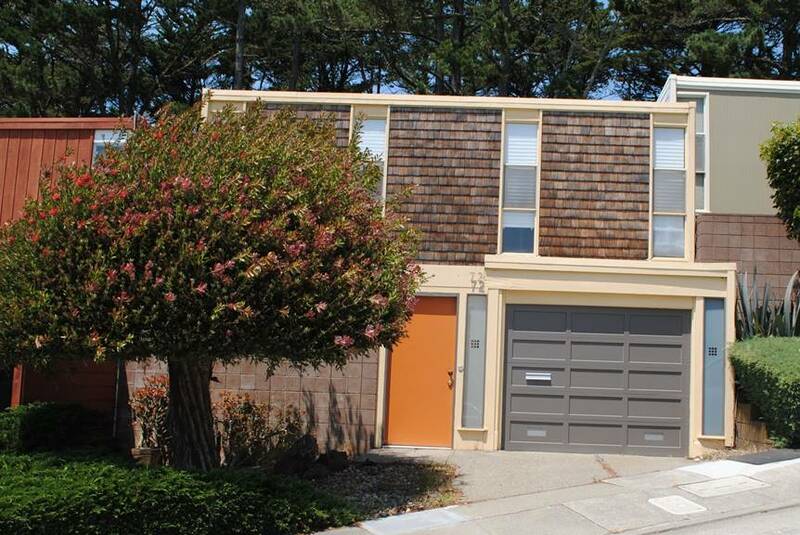 Developed by Joseph Eichler as part of the Diamond Heights Tract. Photo by Hannah Simonson. 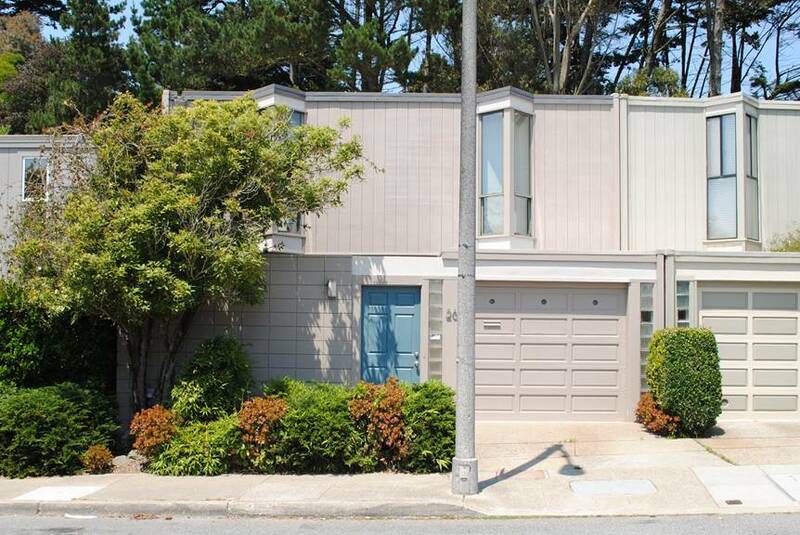 1965 - 117 Amber Drive, San Francisco, CA. Designed by Claude Oakland. Developed by Joseph Eichler as part of the Diamond Heights Tract. Photo by Hannah Simonson. 1965 - 109 Amber Drive, San Francisco, CA. Designed by Claude Oakland. Developed by Joseph Eichler as part of the Diamond Heights Tract. Photo by Hannah Simonson. 1965 - 101 Amber Drive, San Francisco, CA. Designed by Claude Oakland. Developed by Joseph Eichler as part of the Diamond Heights Tract. Photo by Hannah Simonson. 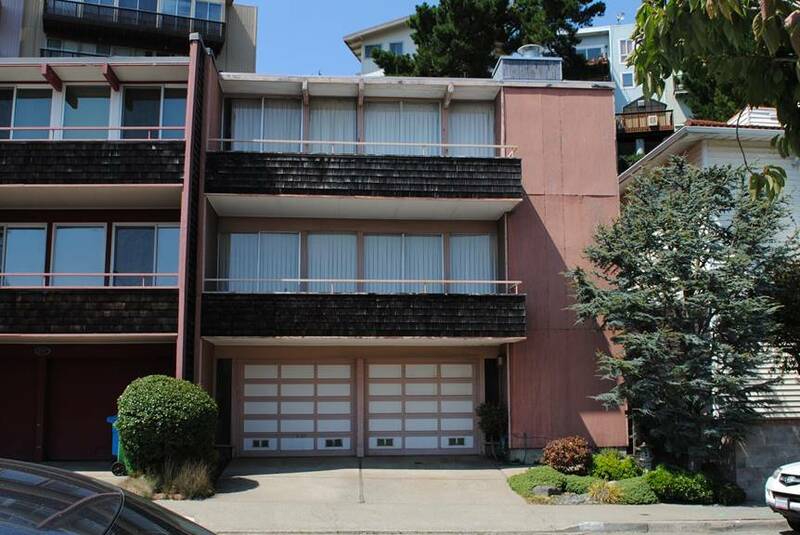 1965 - 97 Amber Drive, San Francisco, CA. Designed by Claude Oakland. 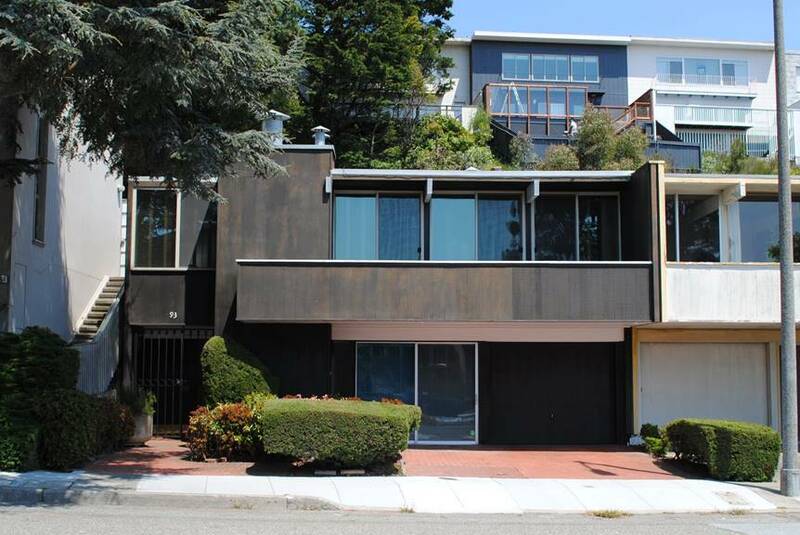 Developed by Joseph Eichler as part of the Diamond Heights Tract. Photo by Hannah Simonson. 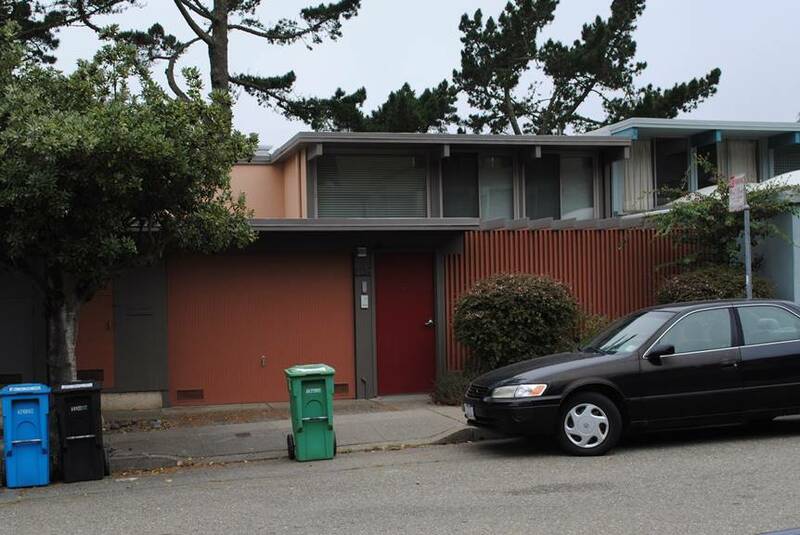 1965 - 93 Amber Drive, San Francisco, CA. Designed by Claude Oakland. 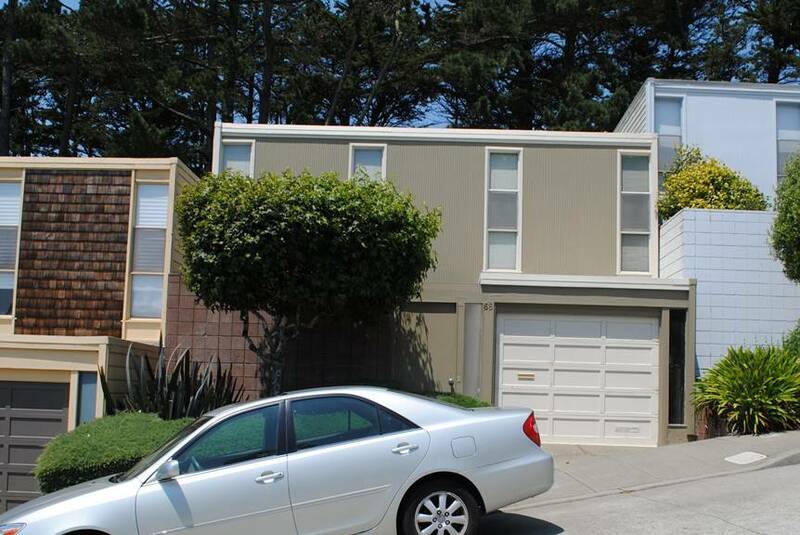 Developed by Joseph Eichler as part of the Diamond Heights Tract. Photo by Hannah Simonson. 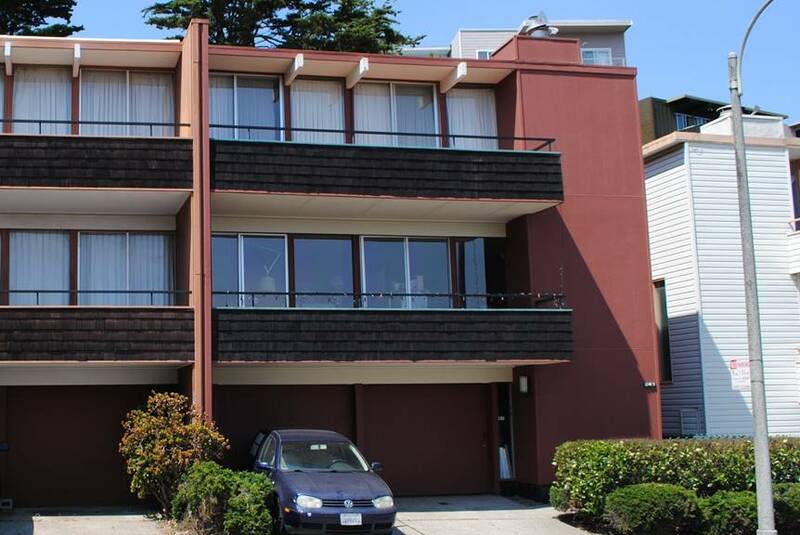 1965 - 89 Amber Drive, San Francisco, CA. Designed by Claude Oakland. 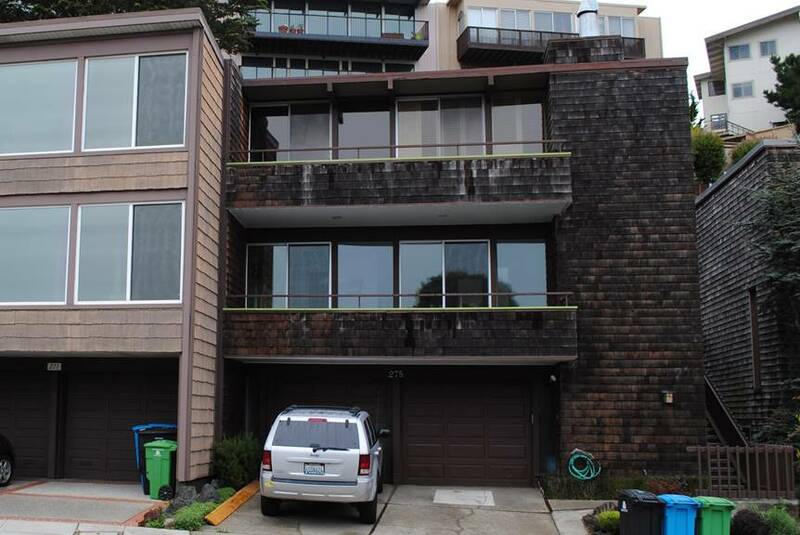 Developed by Joseph Eichler as part of the Diamond Heights Tract. Photo by Hannah Simonson. 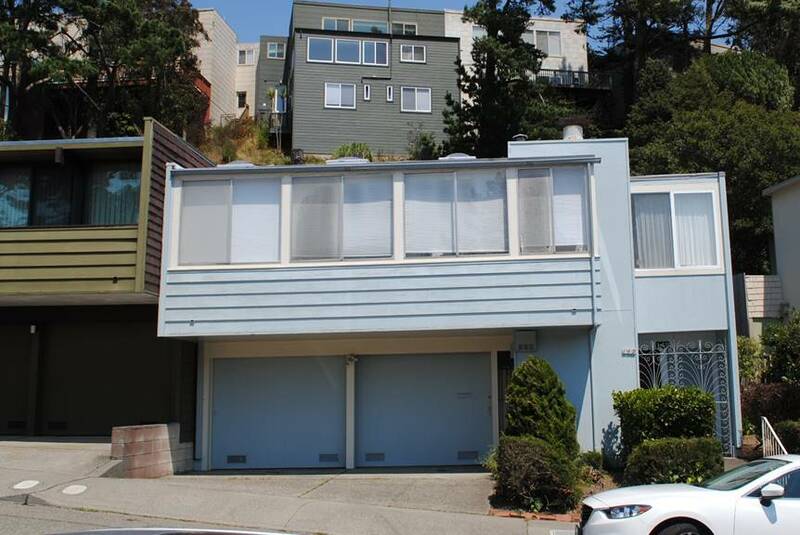 1963 - 255 Amber Drive, San Francisco, CA. Designed by Claude Oakland. 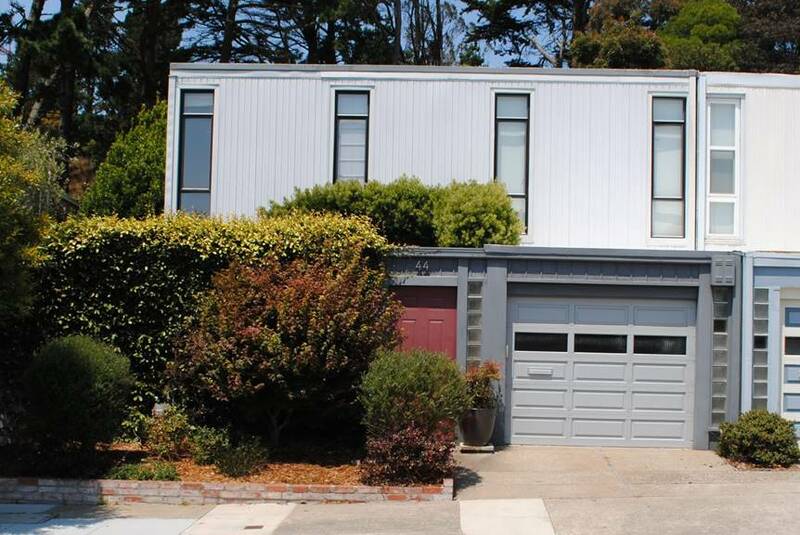 Developed by Joseph Eichler as part of the Diamond Heights Tract. Photo by Hannah Simonson. 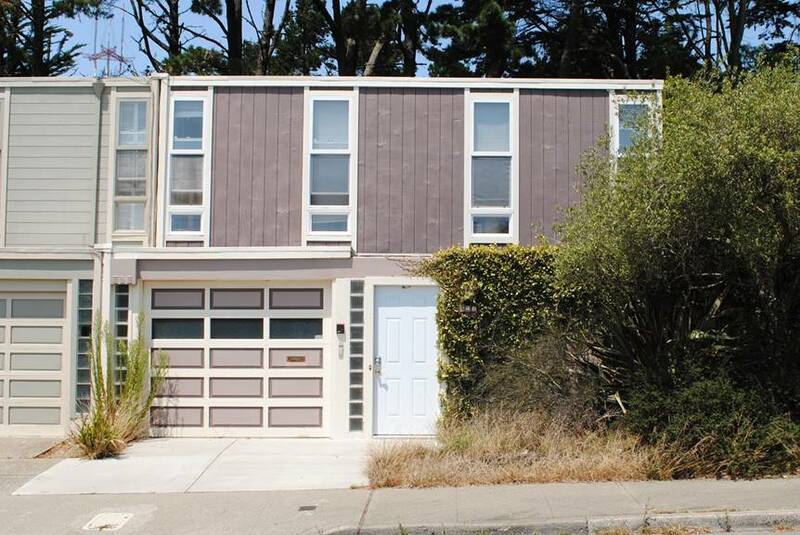 1963 - 247 Amber Drive, San Francisco, CA. Designed by Claude Oakland. Developed by Joseph Eichler as part of the Diamond Heights Tract. Photo by Hannah Simonson. 1964 - 241 Amber Drive, San Francisco, CA. Designed by Claude Oakland. Developed by Joseph Eichler as part of the Diamond Heights Tract. Photo by Hannah Simonson. 1964 - 261 Amber Drive, San Francisco, CA. Designed by Claude Oakland. Developed by Joseph Eichler as part of the Diamond Heights Tract. Photo by Hannah Simonson. 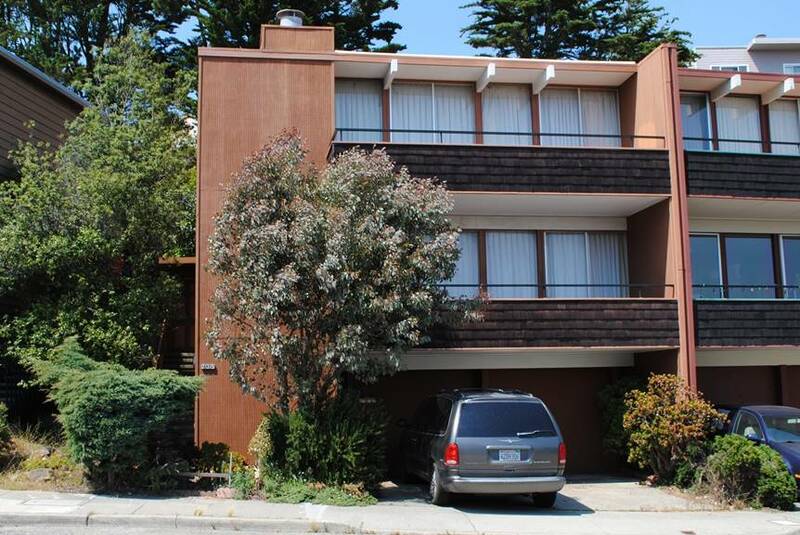 1964 - 265 Amber Drive, San Francisco, CA. Designed by Claude Oakland. Developed by Joseph Eichler as part of the Diamond Heights Tract. Photo by Hannah Simonson. 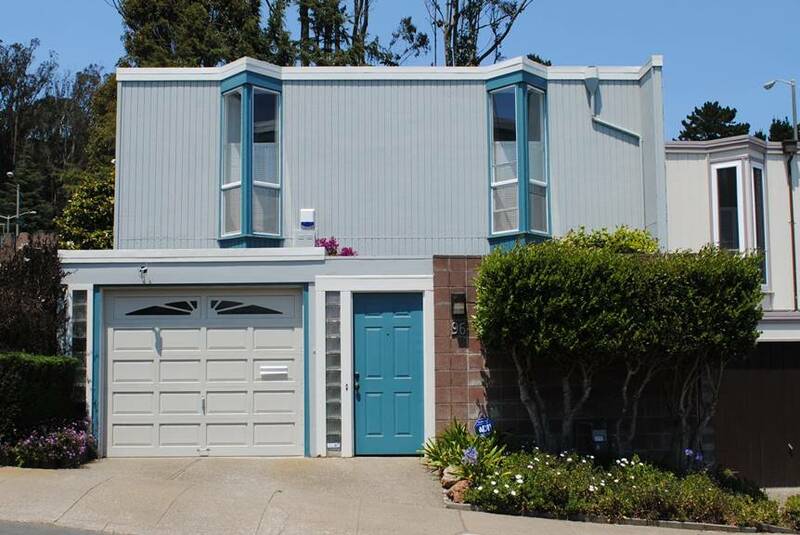 1964 - 271 Amber Drive, San Francisco, CA. Designed by Claude Oakland. Developed by Joseph Eichler as part of the Diamond Heights Tract. Photo by Hannah Simonson. 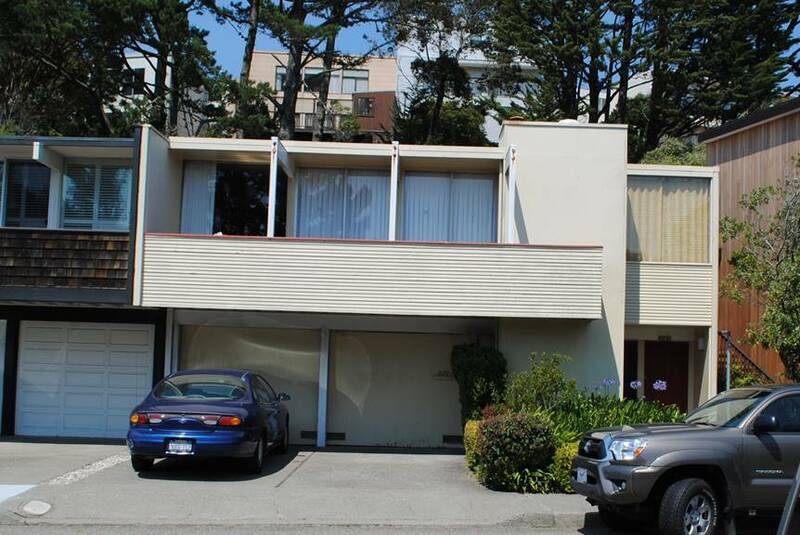 1964 - 275 Amber Drive, San Francisco, CA. Designed by Claude Oakland. Developed by Joseph Eichler as part of the Diamond Heights Tract. Photo by Hannah Simonson. 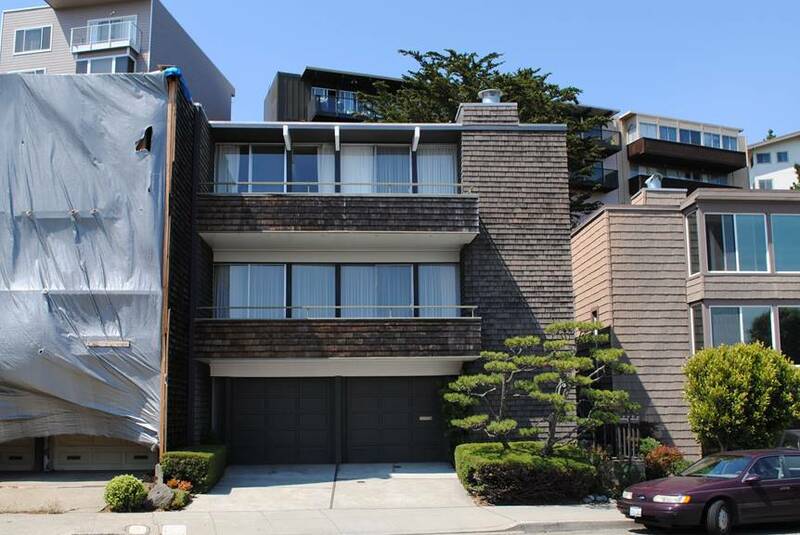 1963 - 281 Amber Drive, San Francisco, CA. Designed by Claude Oakland. 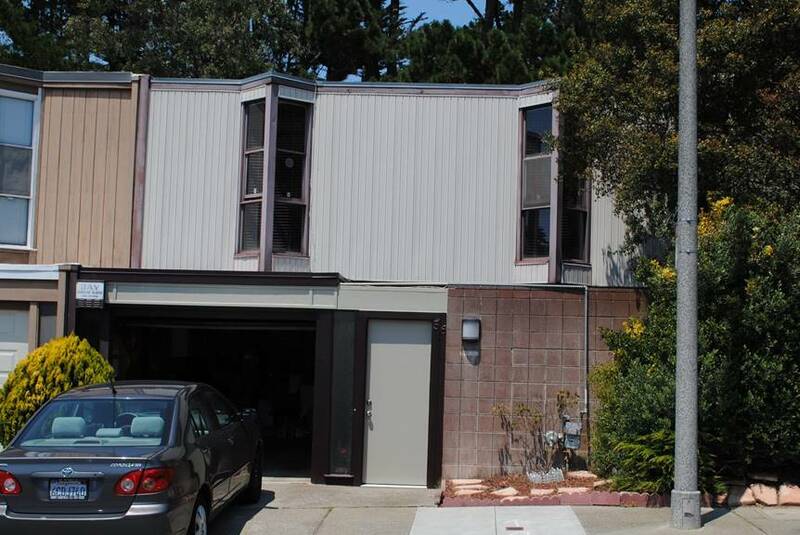 Developed by Joseph Eichler as part of the Diamond Heights Tract. Photo by Hannah Simonson. 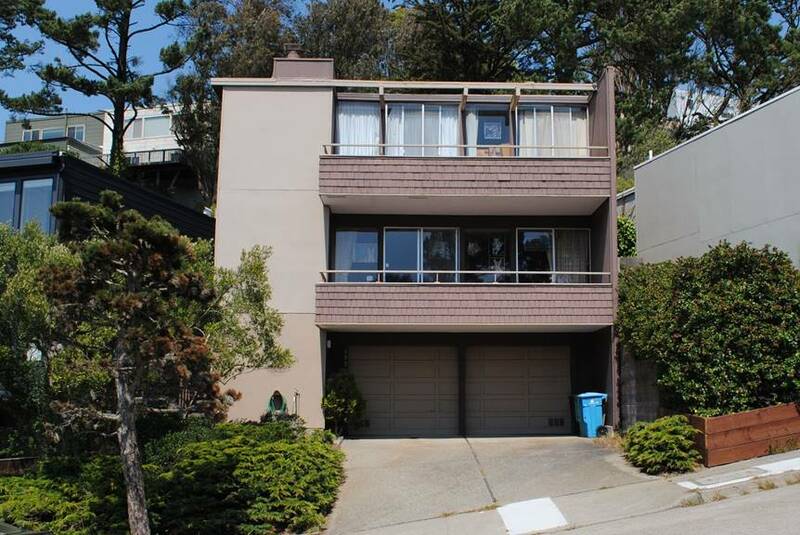 1963 - 285 Amber Drive, San Francisco, CA. Designed by Claude Oakland. Developed by Joseph Eichler as part of the Diamond Heights Tract. Photo by Hannah Simonson. 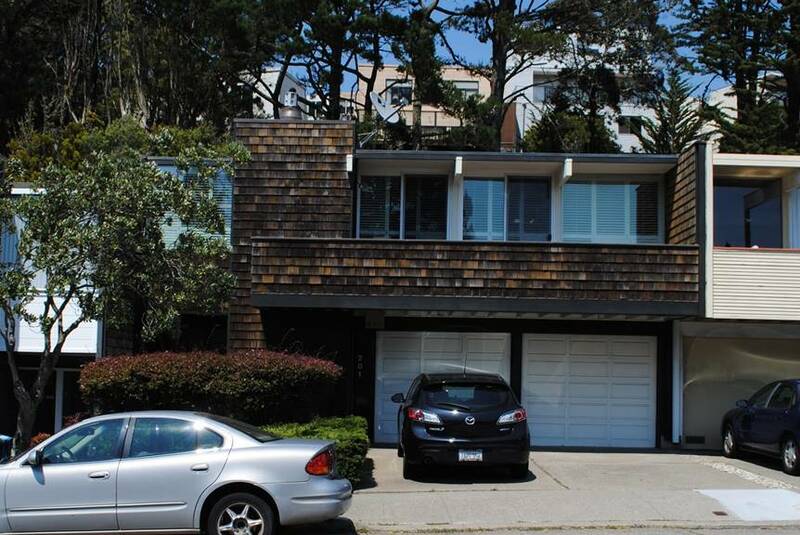 1963 - 289 Amber Drive, San Francisco, CA. Designed by Claude Oakland. Developed by Joseph Eichler as part of the Diamond Heights Tract. Photo by Hannah Simonson. 1965 - 88 Cameo Way, San Francisco, CA. Designed by Claude Oakland. Developed by Joseph Eichler as part of the Diamond Heights Tract. Photo by Hannah Simonson. 1965 - 82 Cameo Way, San Francisco, CA. Designed by Claude Oakland. Developed by Joseph Eichler as part of the Diamond Heights Tract. Photo by Hannah Simonson. 1965 - 76 Cameo Way, San Francisco, CA. Designed by Claude Oakland. Developed by Joseph Eichler as part of the Diamond Heights Tract. Photo by Hannah Simonson. 1962 - 1035 Duncan Street, San Francisco, CA. Designed by Claude Oakland. Developed by Joseph Eichler as part of the Diamond Heights Tract. Photo by Hannah Simonson. 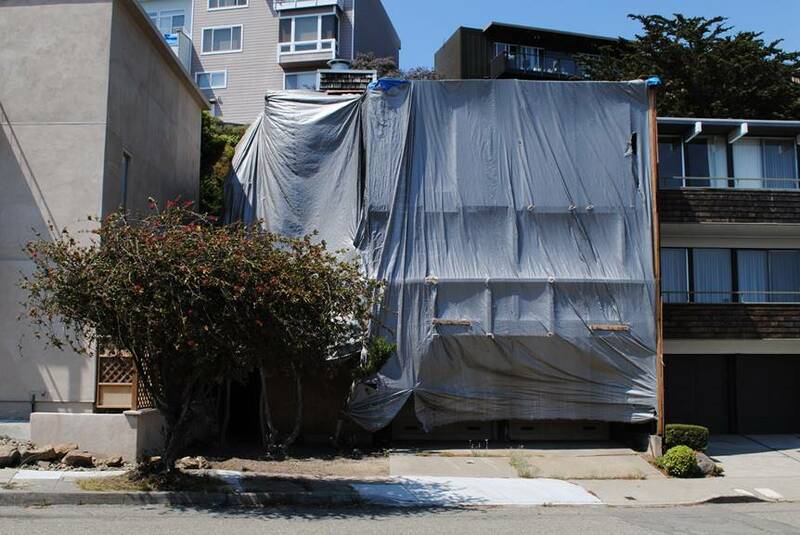 1962 - 1027 Duncan Street, San Francisco, CA. Designed by Claude Oakland. Developed by Joseph Eichler as part of the Diamond Heights Tract. Photo by Hannah Simonson. 1962 - 1015 Duncan Street, San Francisco, CA. Designed by Claude Oakland. 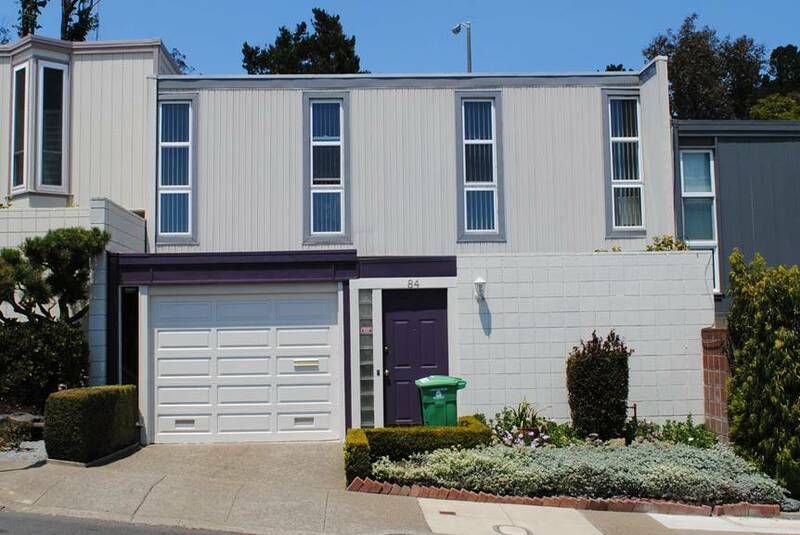 Developed by Joseph Eichler as part of the Diamond Heights Tract. Photo by Hannah Simonson. 1962 - 1005 Duncan Street, San Francisco, CA. Designed by Claude Oakland. Developed by Joseph Eichler as part of the Diamond Heights Tract. Photo by Hannah Simonson. 1962 - 95 Cameo Way, San Francisco, CA. Designed by Claude Oakland. Developed by Joseph Eichler as part of the Diamond Heights Tract. Photo by Hannah Simonson. 1962 - 91 Cameo Way, San Francisco, CA. Designed by Claude Oakland. Developed by Joseph Eichler as part of the Diamond Heights Tract. Photo by Hannah Simonson. 1962 - 71 Cameo Way, San Francisco, CA. Designed by Claude Oakland. Developed by Joseph Eichler as part of the Diamond Heights Tract. Photo by Hannah Simonson. 1962 - 53 Cameo Way, San Francisco, CA. Designed by Claude Oakland. Developed by Joseph Eichler as part of the Diamond Heights Tract. Photo by Hannah Simonson. 1962 - 49 Cameo Way, San Francisco, CA. Designed by Claude Oakland. Developed by Joseph Eichler as part of the Diamond Heights Tract. Photo by Hannah Simonson. 1962 - 43 Cameo Way, San Francisco, CA. Designed by Claude Oakland. 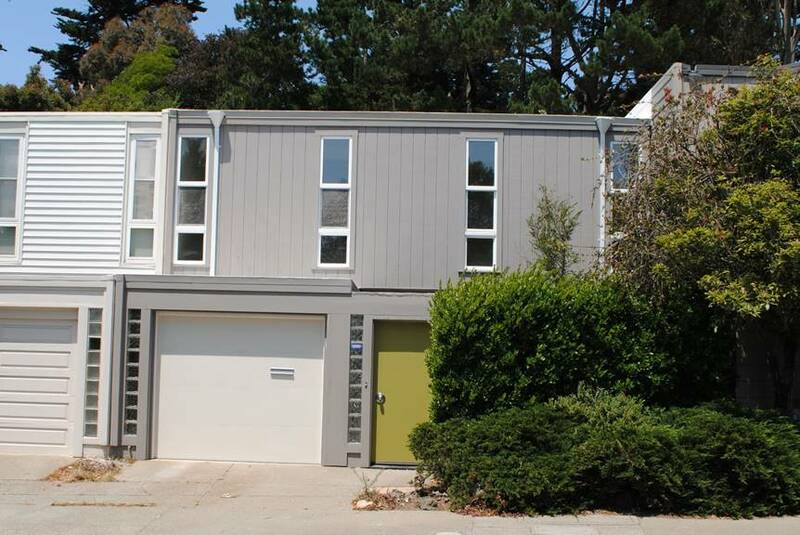 Developed by Joseph Eichler as part of the Diamond Heights Tract. Photo by Hannah Simonson. 1962 - 37 Cameo Way, San Francisco, CA. Designed by Claude Oakland. Developed by Joseph Eichler as part of the Diamond Heights Tract. Photo by Hannah Simonson. 1962 - 29 Cameo Way, San Francisco, CA. Designed by Claude Oakland. 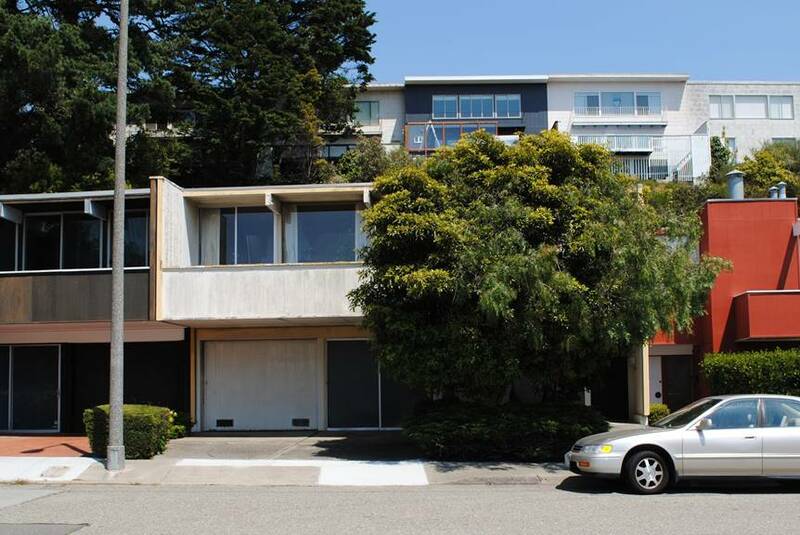 Developed by Joseph Eichler as part of the Diamond Heights Tract. Photo by Hannah Simonson. 1962 - 25 Cameo Way, San Francisco, CA. Designed by Claude Oakland. 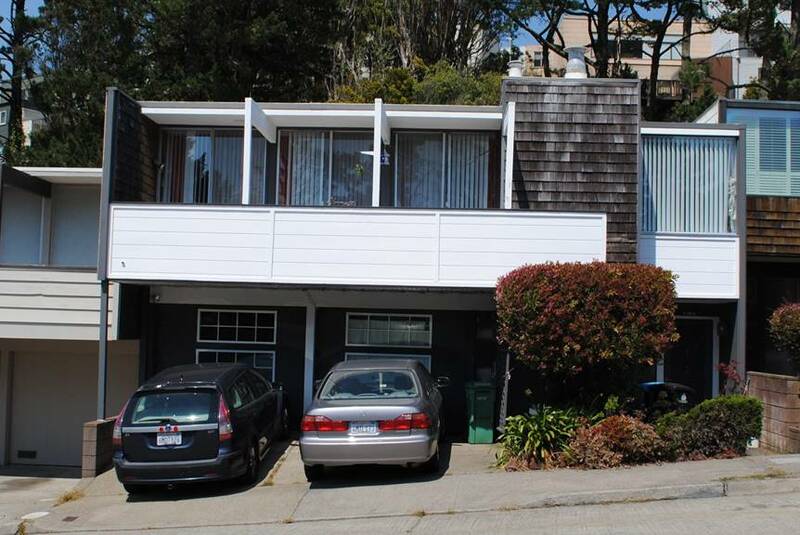 Developed by Joseph Eichler as part of the Diamond Heights Tract. Photo by Hannah Simonson.